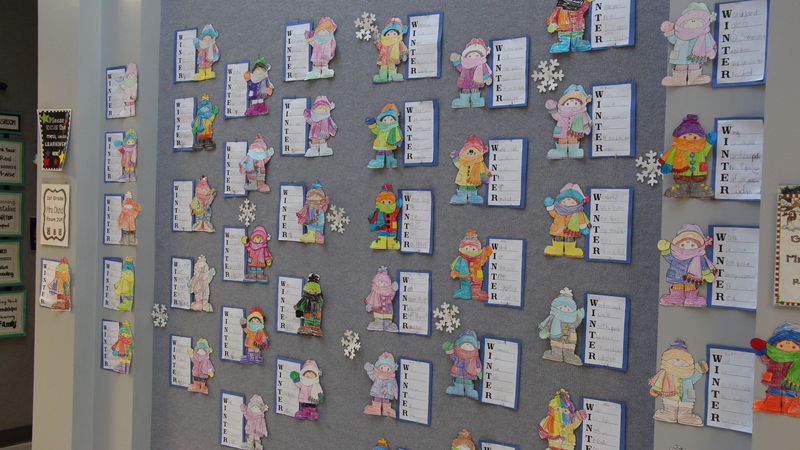 Remember to check all grades in Skyward. 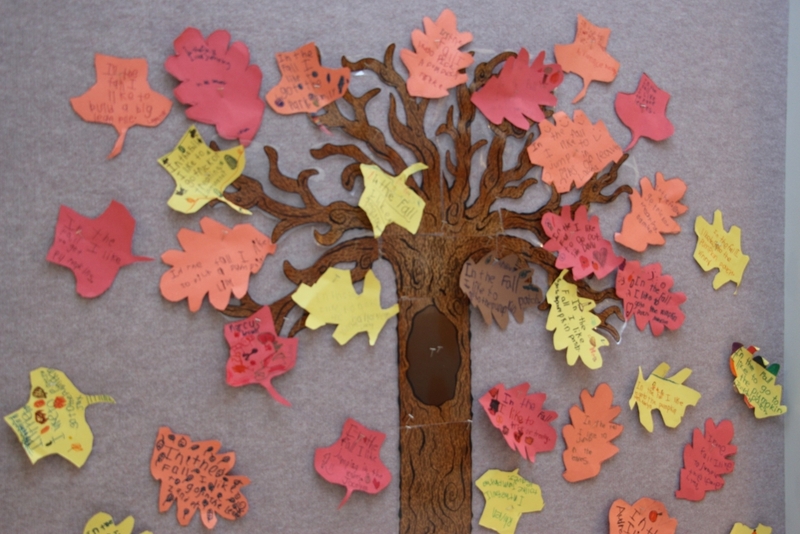 Have a safe and happy fall break! 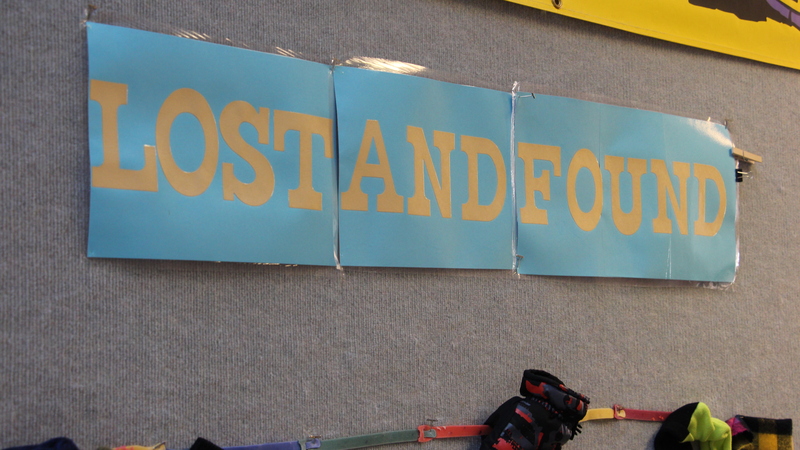 Remember to check grades in Skyward! 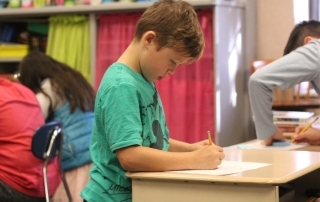 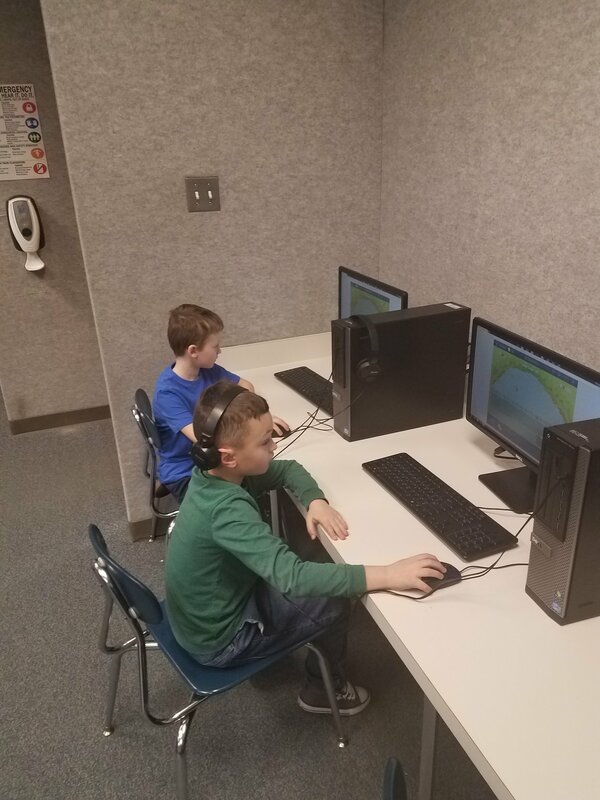 Third Grade students work on a project where they have to map a mountain. 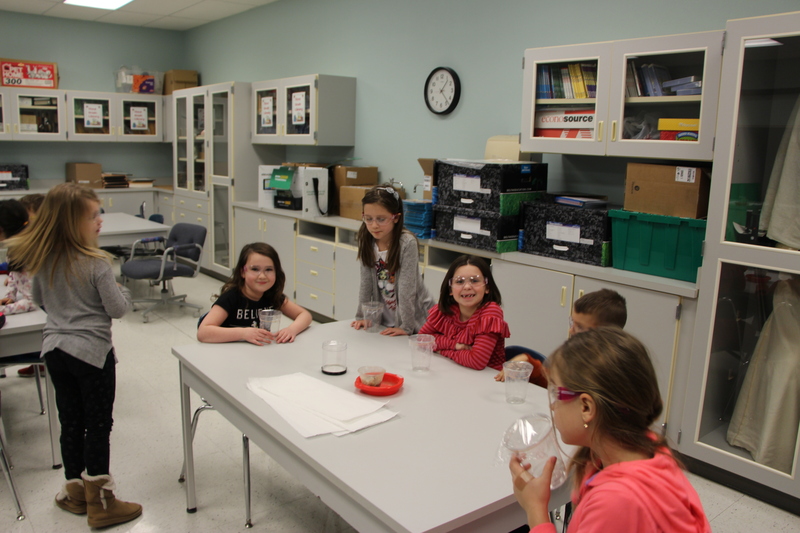 Students had to use foam pieces to trace the mapping of the mountain. 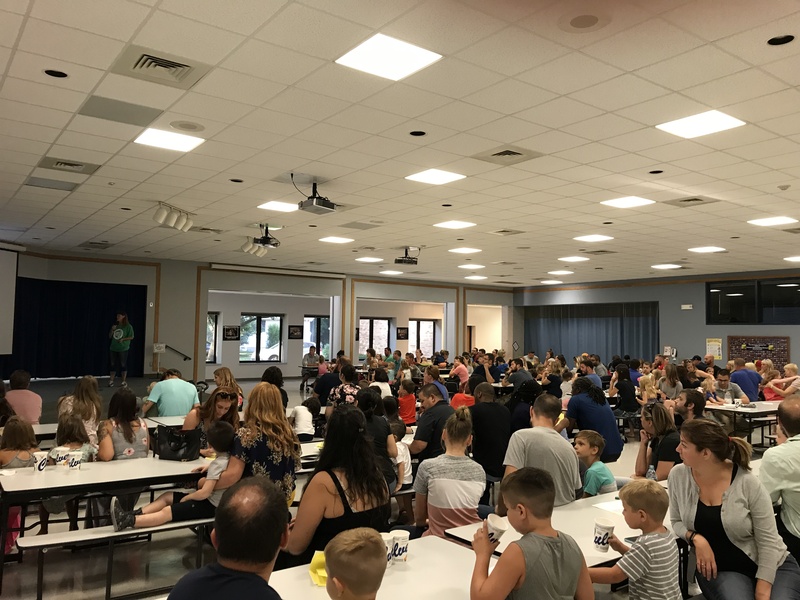 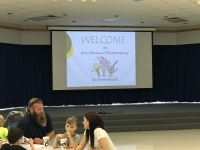 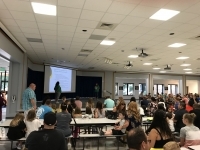 Homan Elementary welcomed their new students to the Lake Central School Corporation. 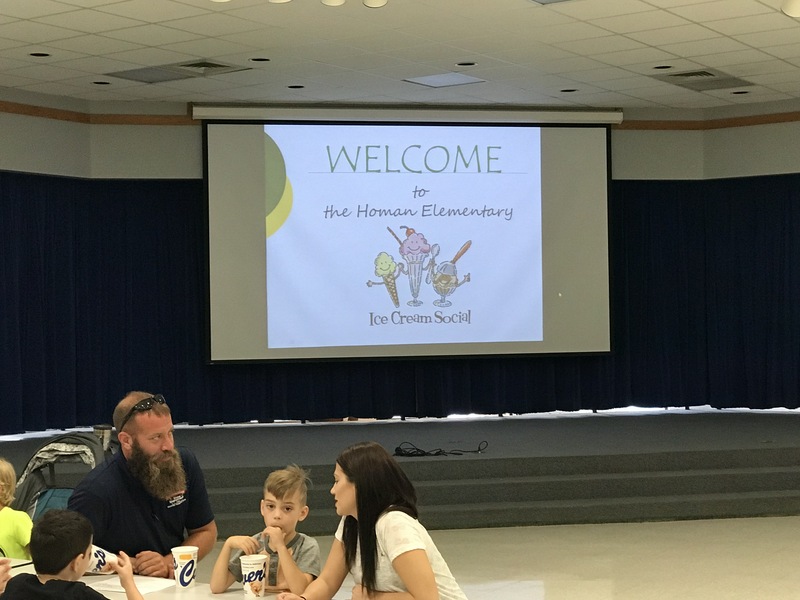 Students were able to get ice cream and meet their new classmates. 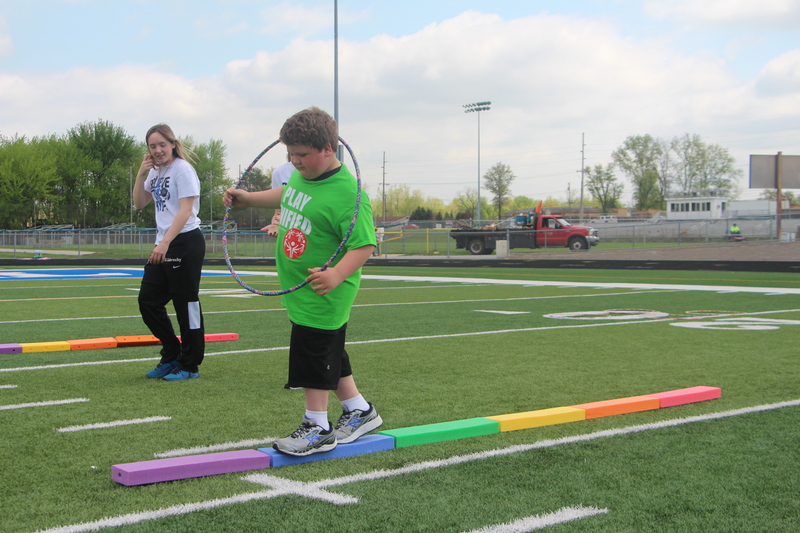 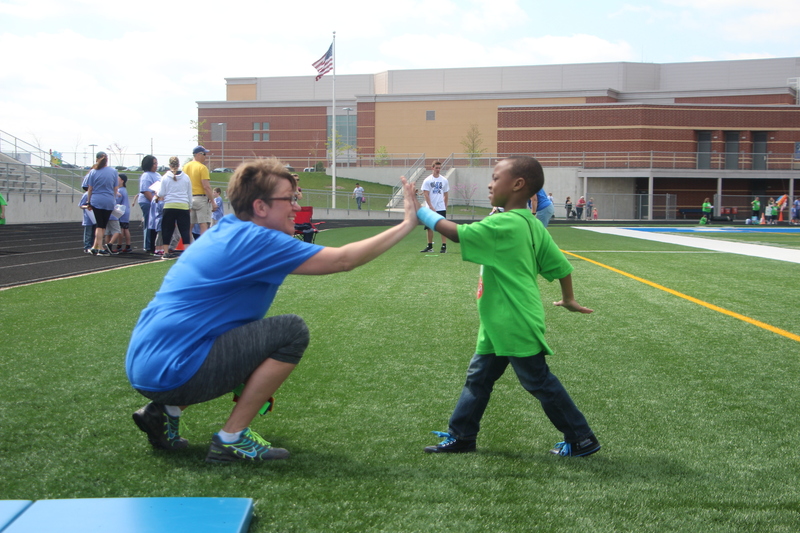 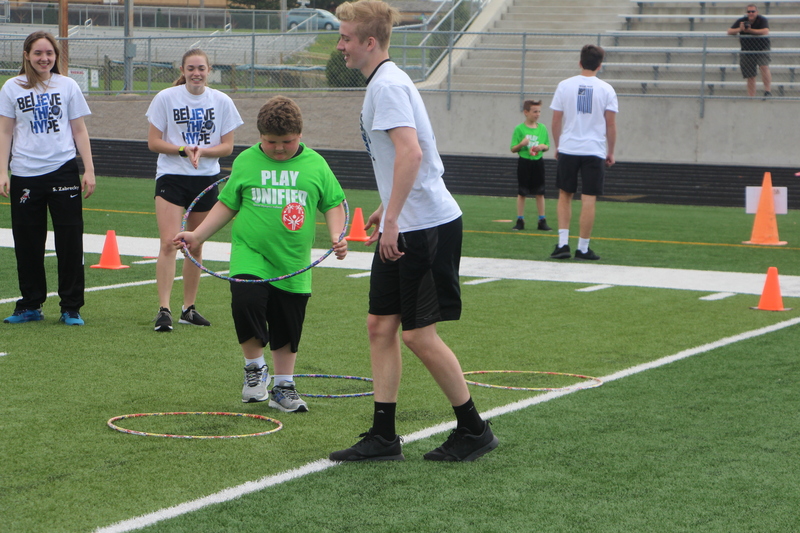 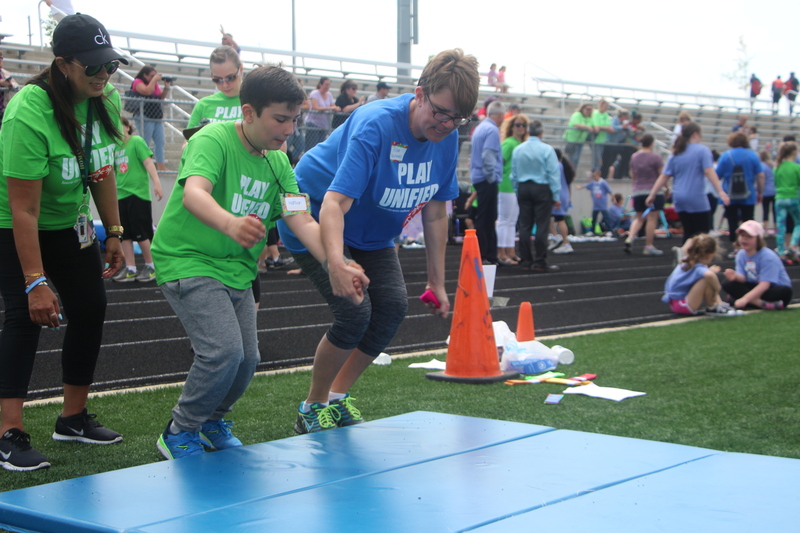 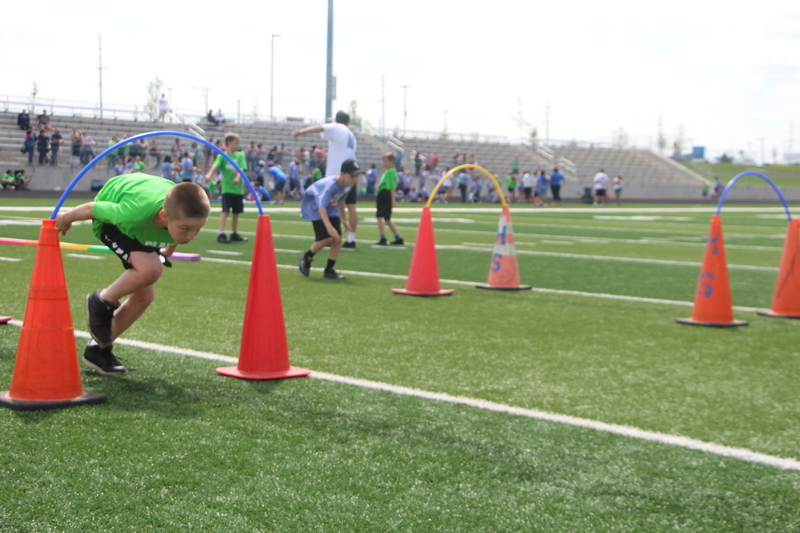 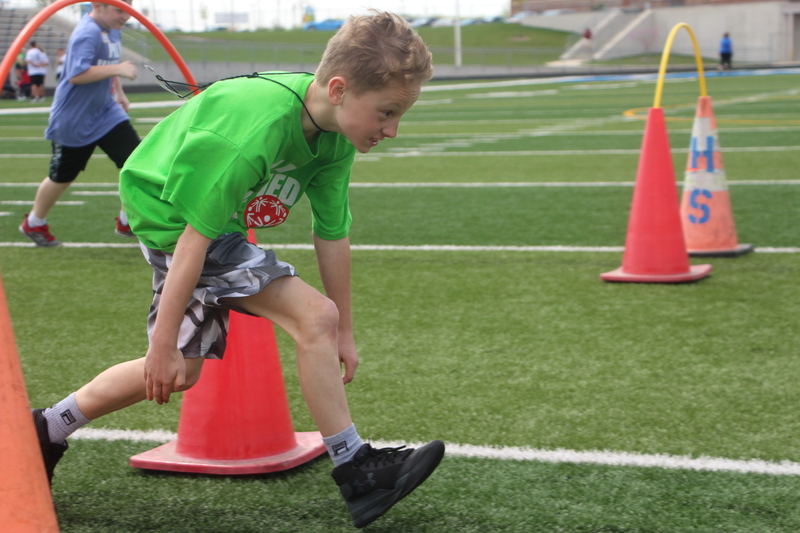 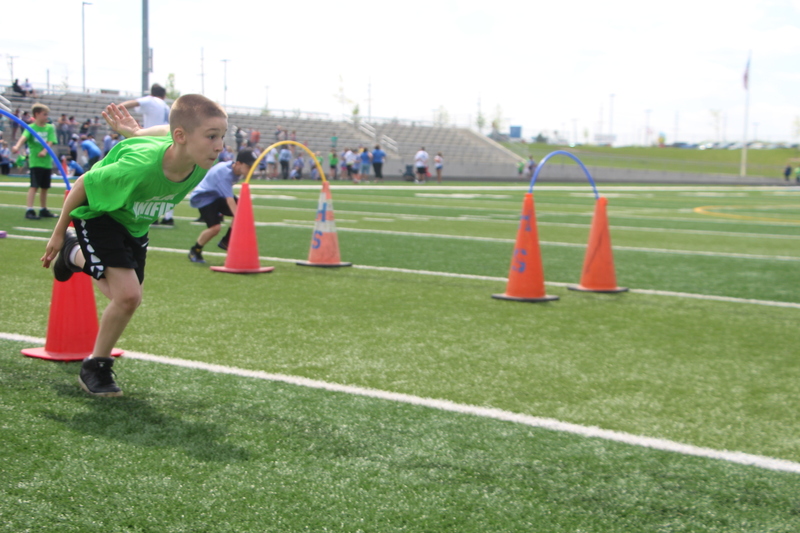 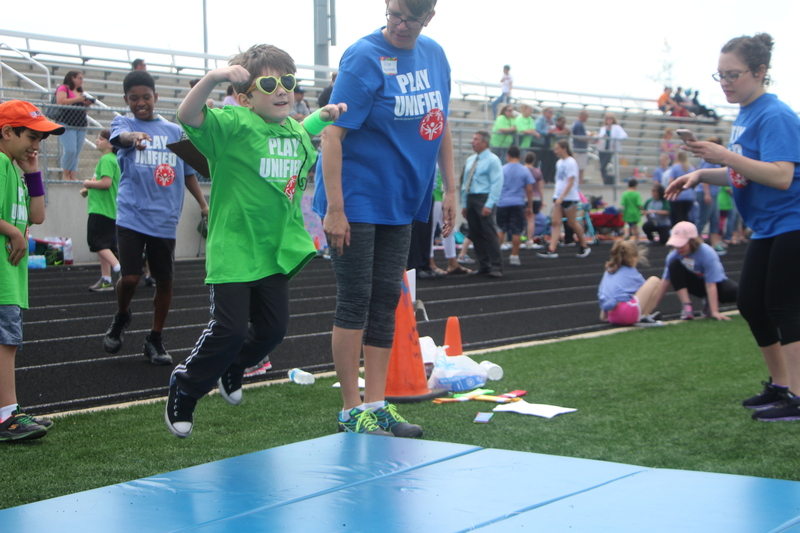 On May 10th students from Homan paricipated in a Unified Sports event at Lake Central. 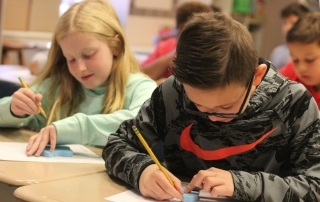 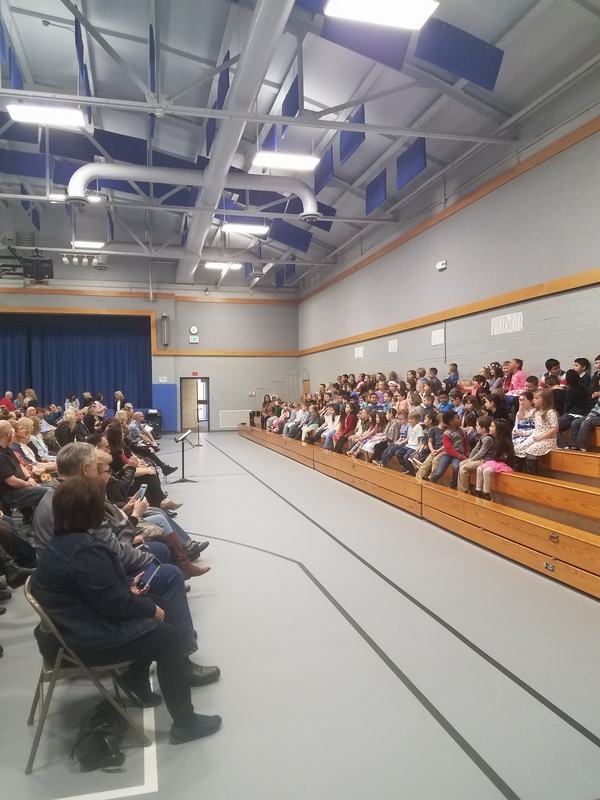 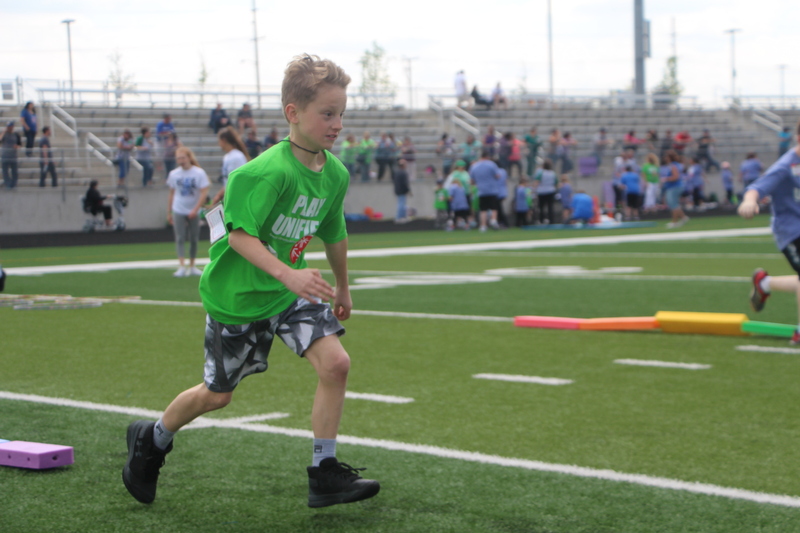 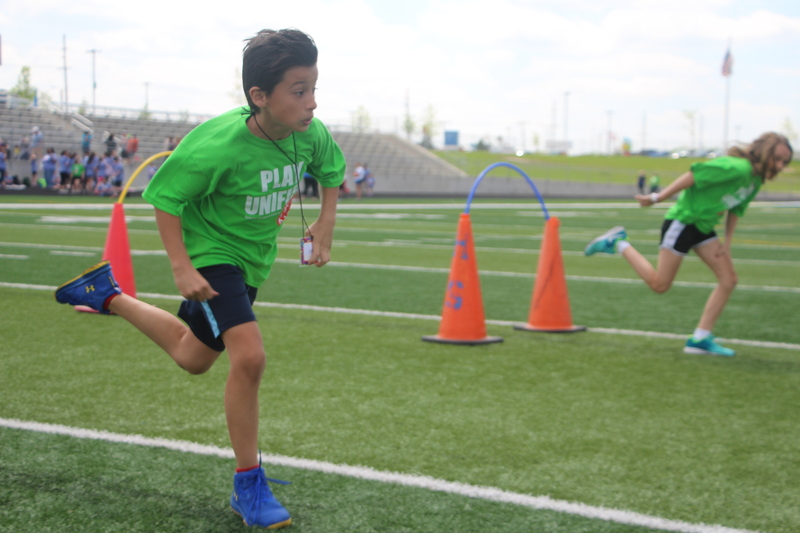 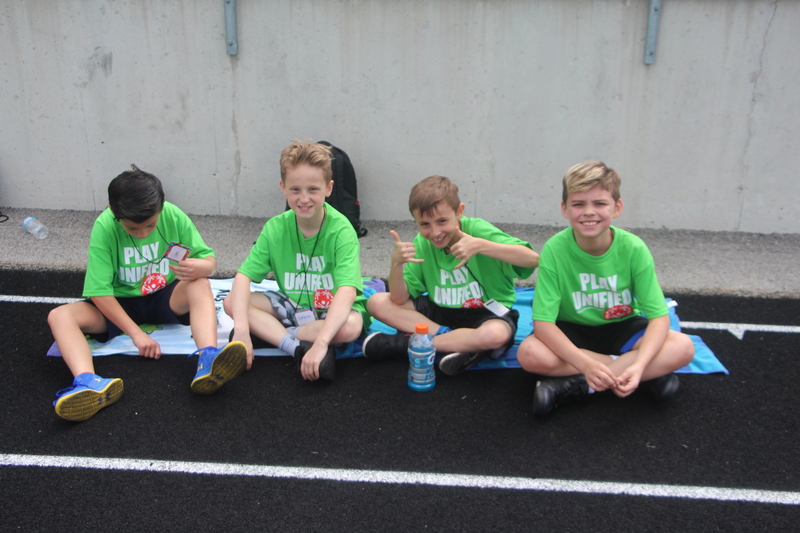 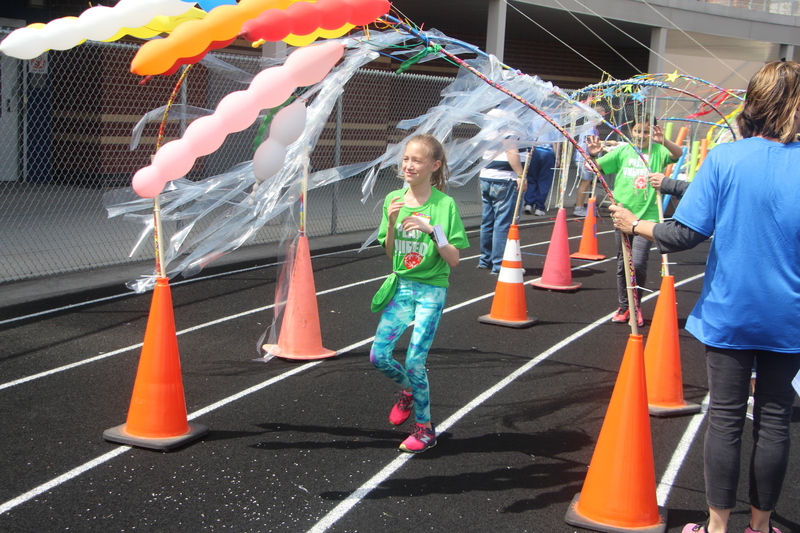 Those participating were of the schools Homan Elementary, Protsman Elementary, as well as Clark and Kahler middle schools. 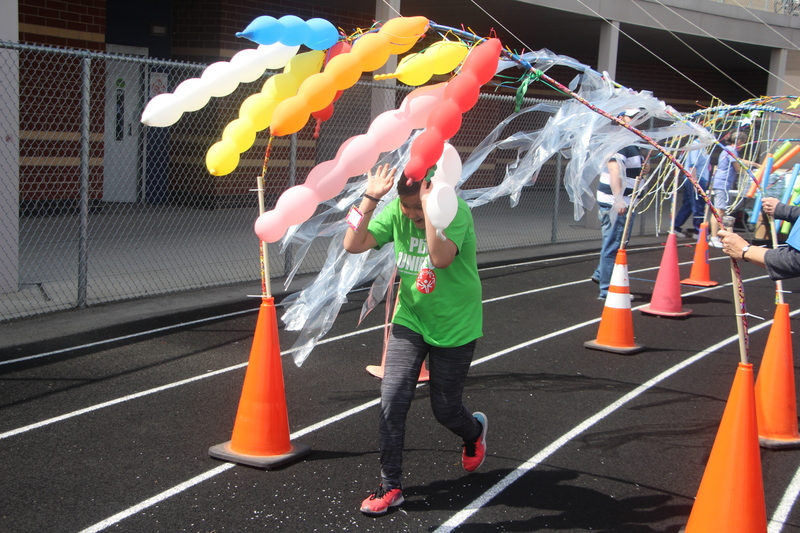 It was a feel good event set on a day with beautiful weather. 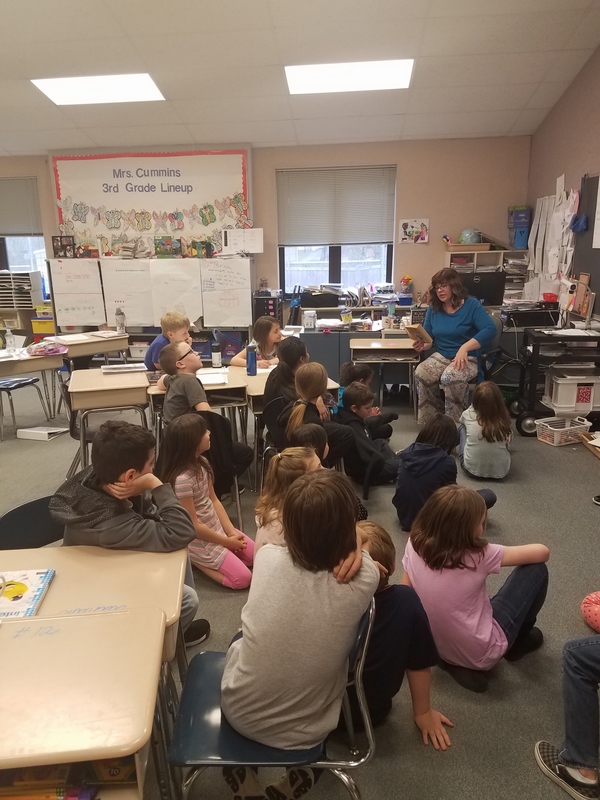 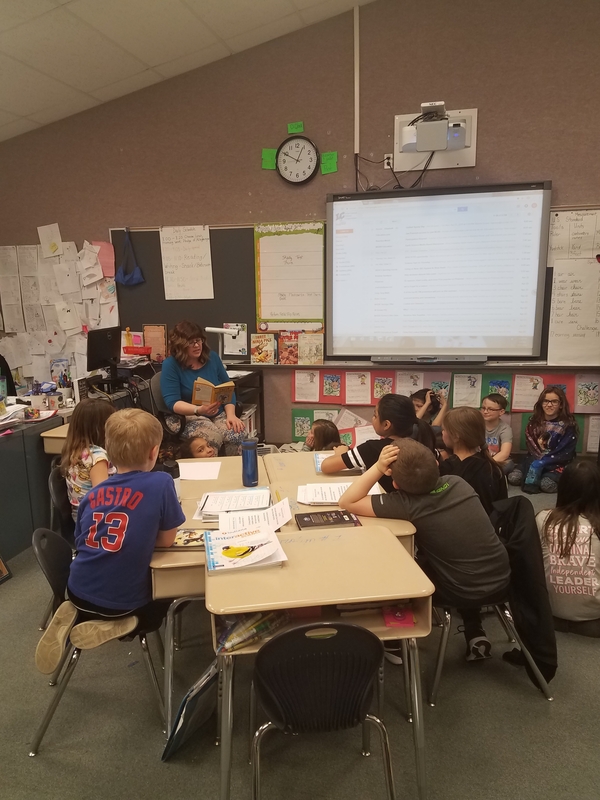 Mrs. Cummins reads to her 3rd grade class. 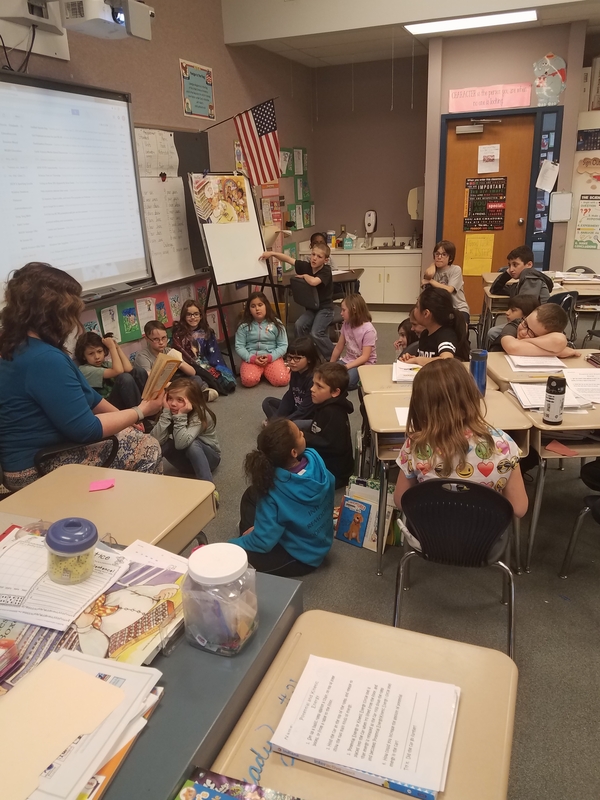 The class is reading Pippy Longstockings. 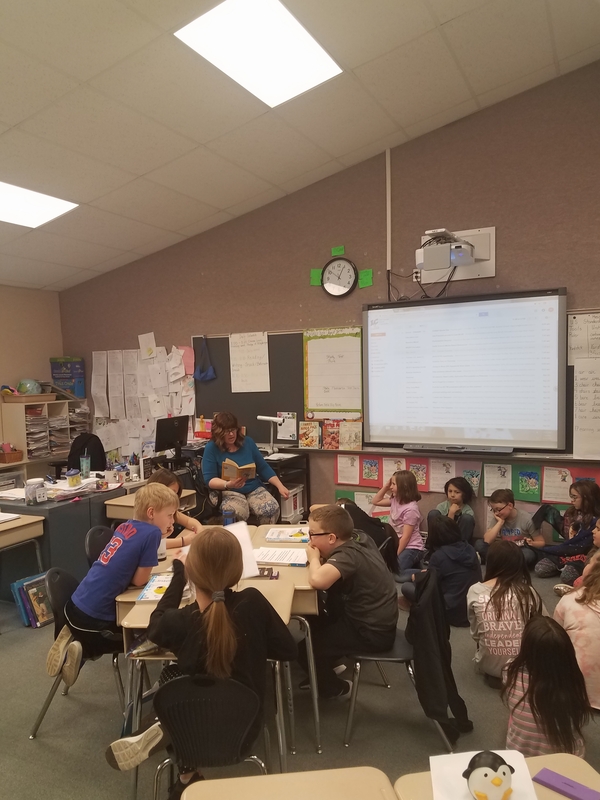 As Mrs. Cummings reads she asks kids to share there thoughts on whats happening. 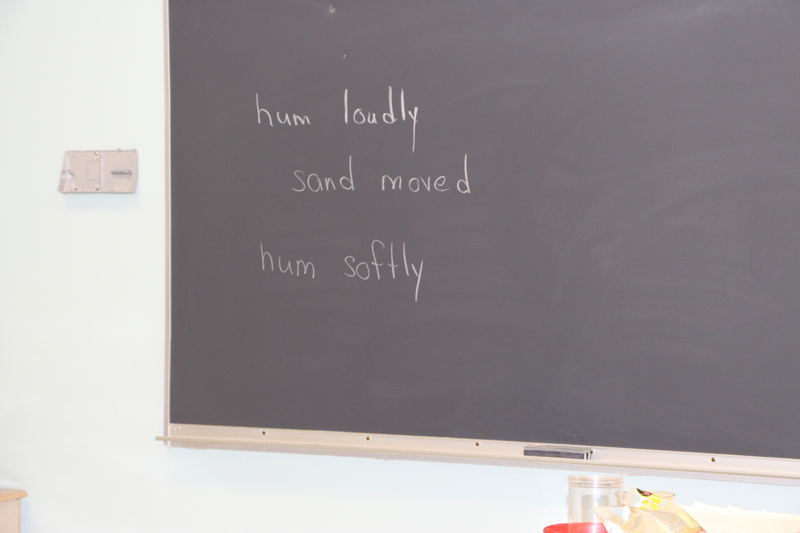 She also stops for big words to make sure students can define them, like the word peculiar. 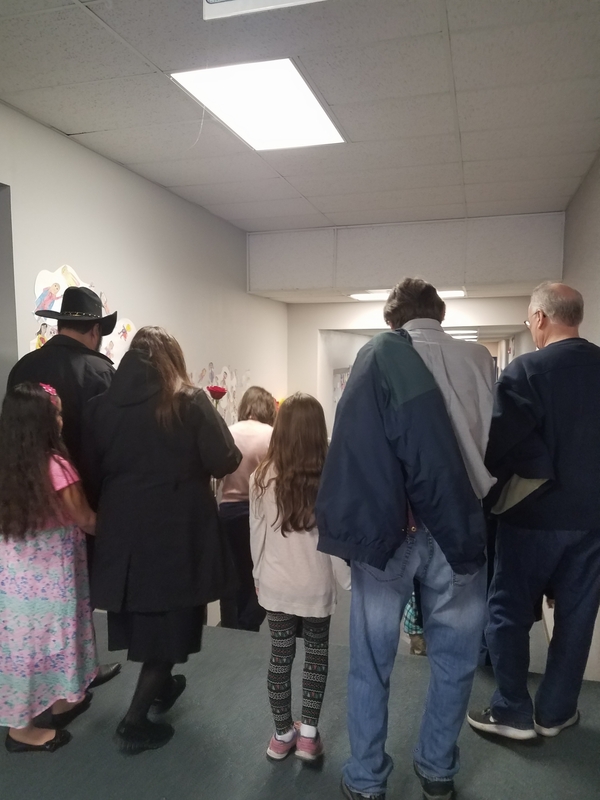 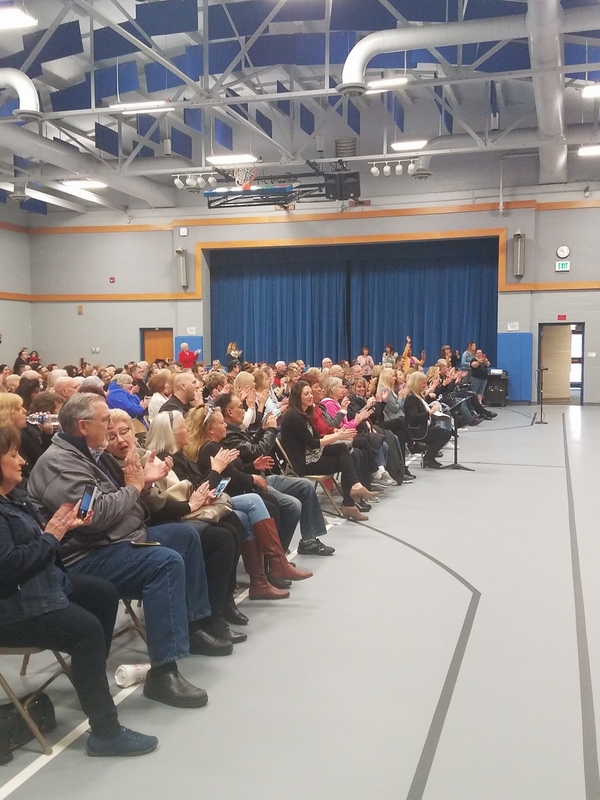 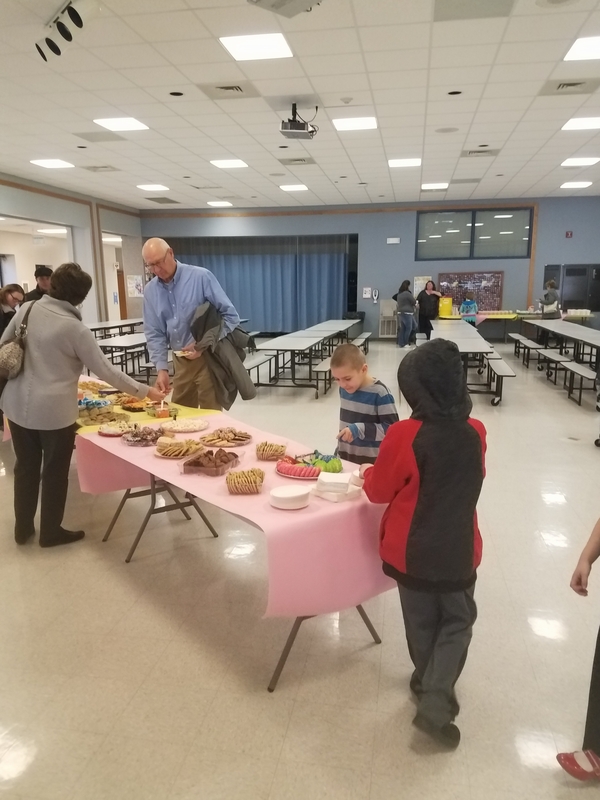 On Tuesday April 10th Homan Elementary School’s 1st grade teachers held their annual Grandparents Day. 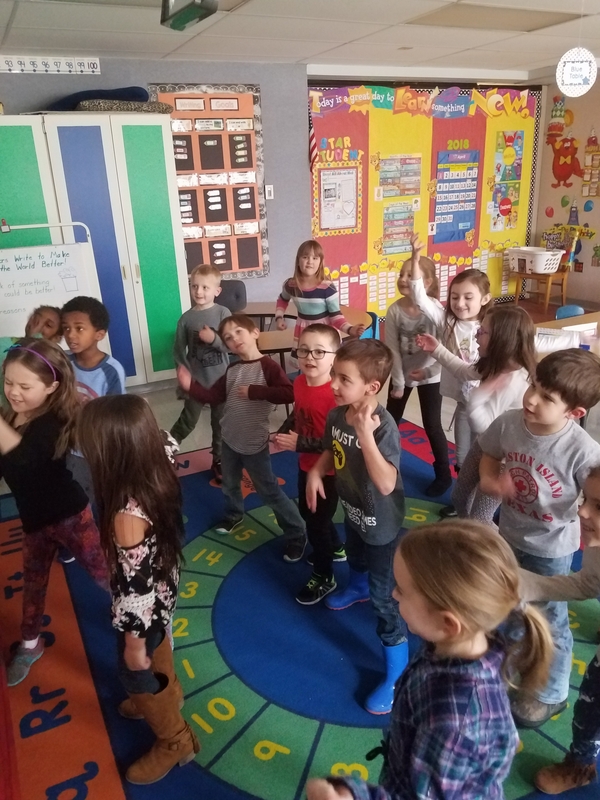 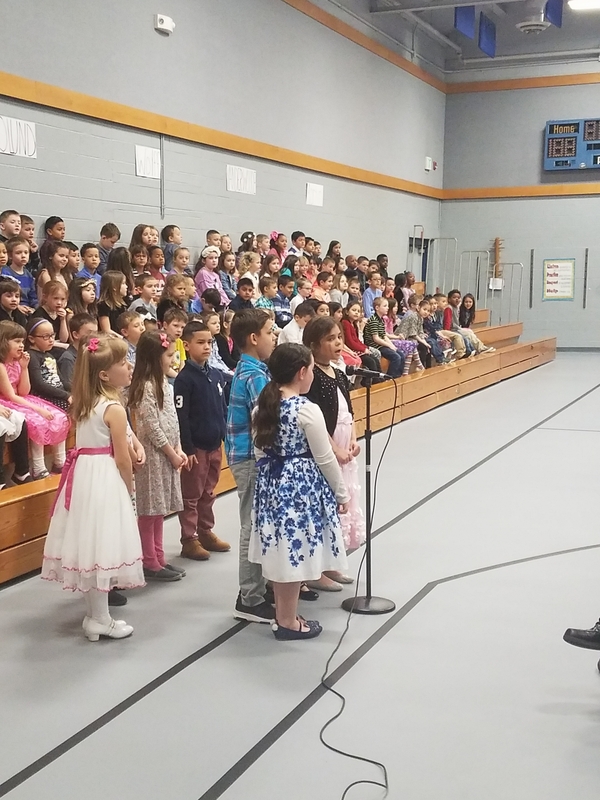 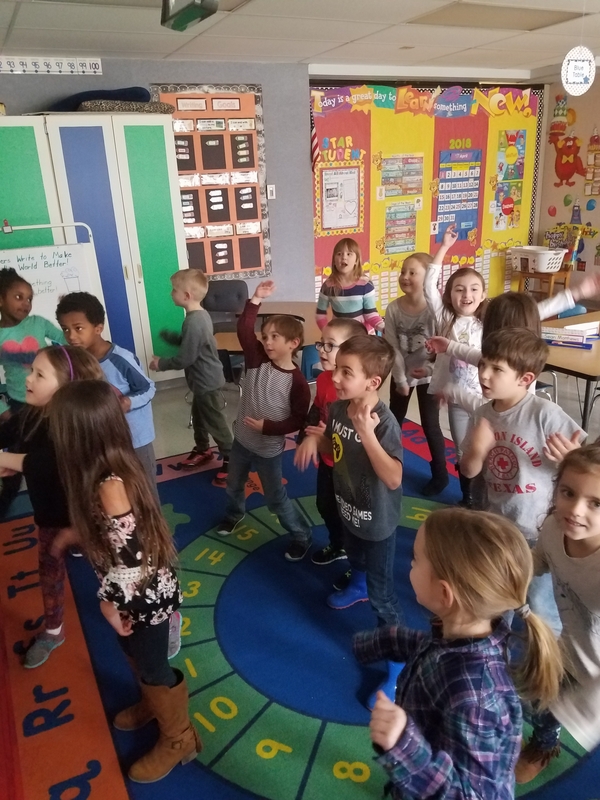 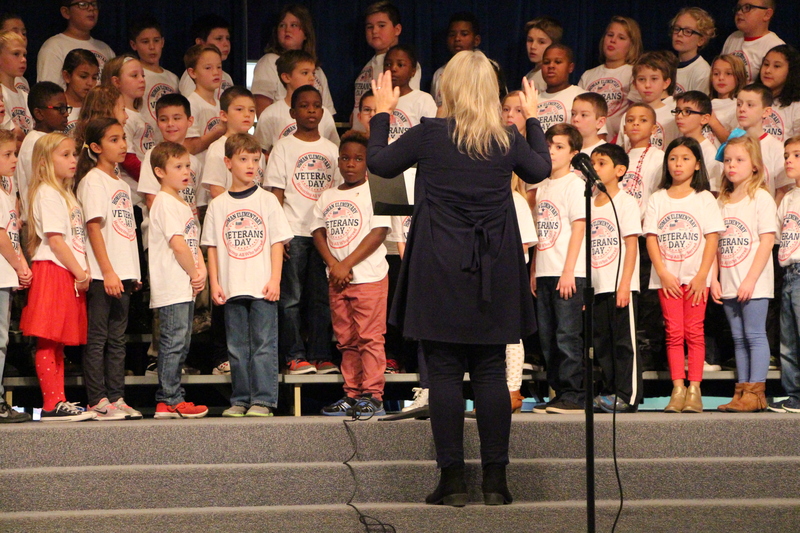 It consisted of a morning full of performances of all 1st grade classes led by music teacher Ms. Pouzy. 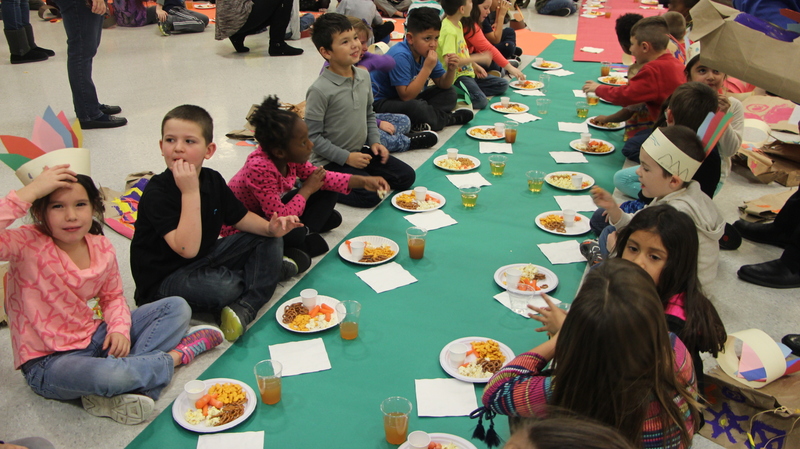 The day then transitioned into an hour for students to enjoy a snack with their grandparents in the cafeteria. 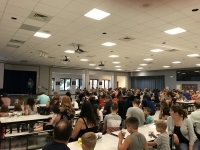 It was a nice morning for all that had attended. 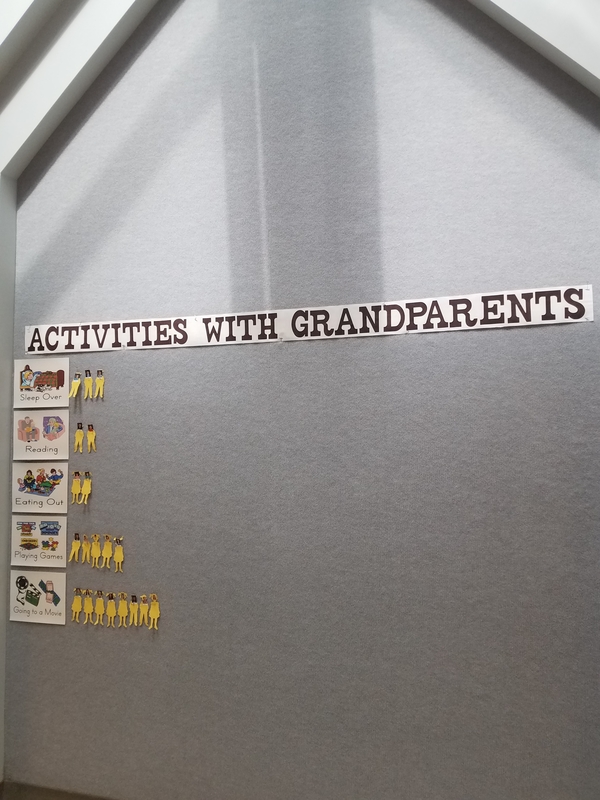 Thank you grandparents! 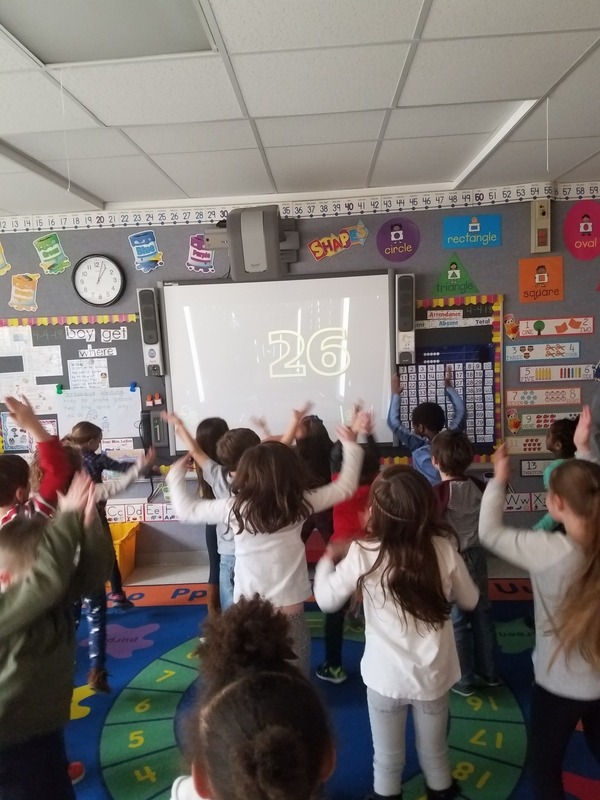 This exercise is what Ms. Pavlina’s kindergarten class refers to as “fun math”. 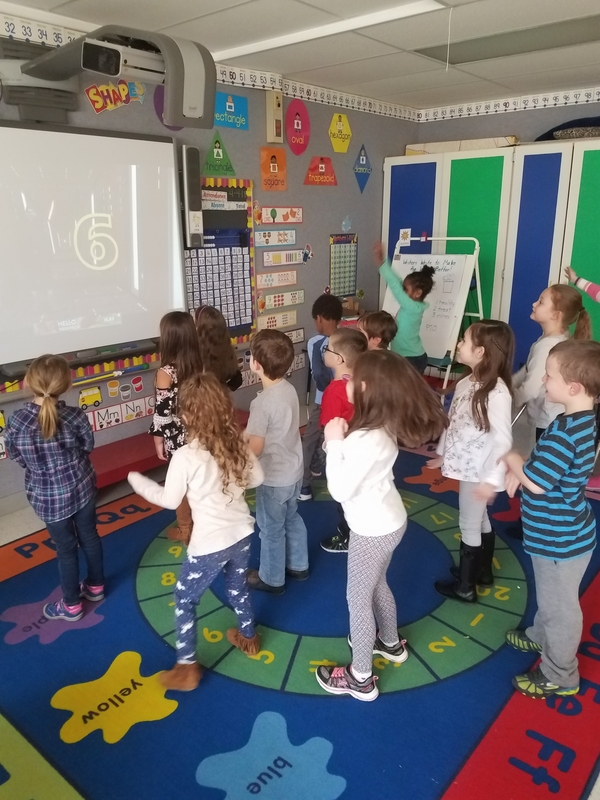 Students participate in Youtube’s counting to 100 series. 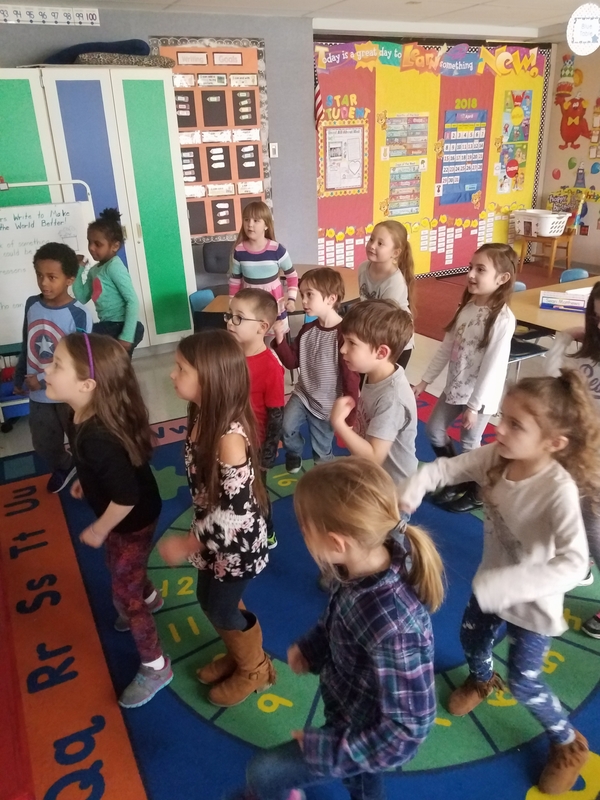 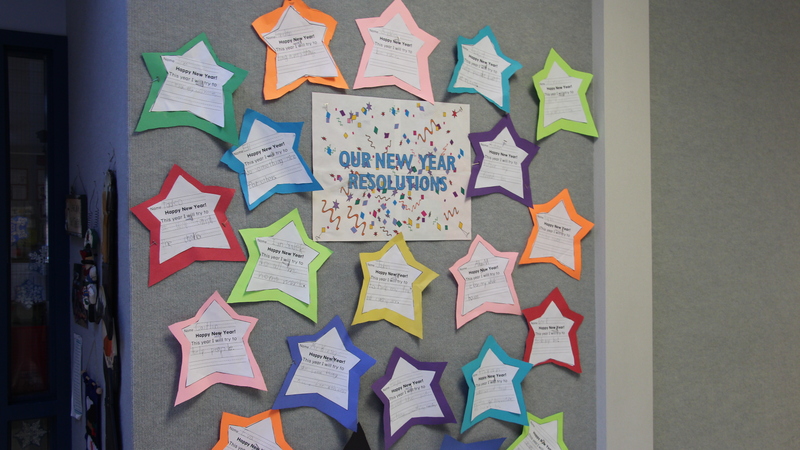 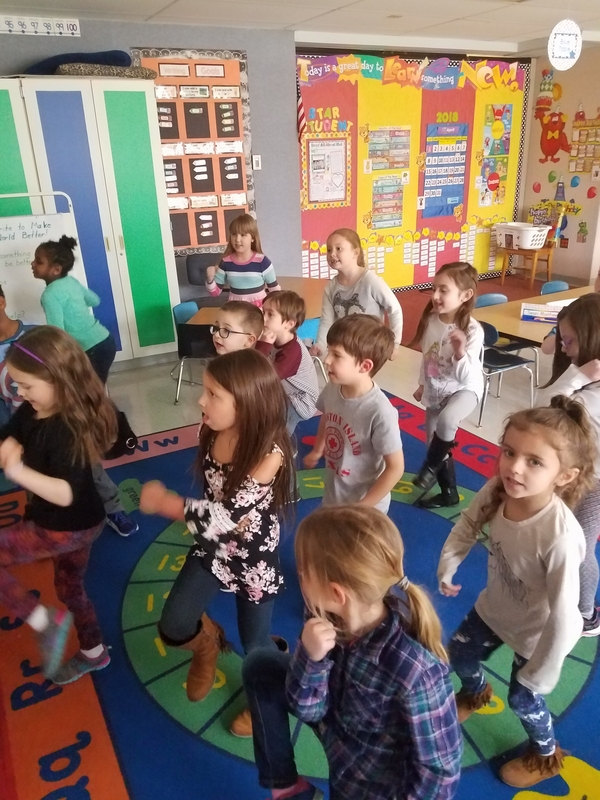 Students do various actions such as jumping jacks, guitar solo’s and lightsaber moves all while counting to 100. 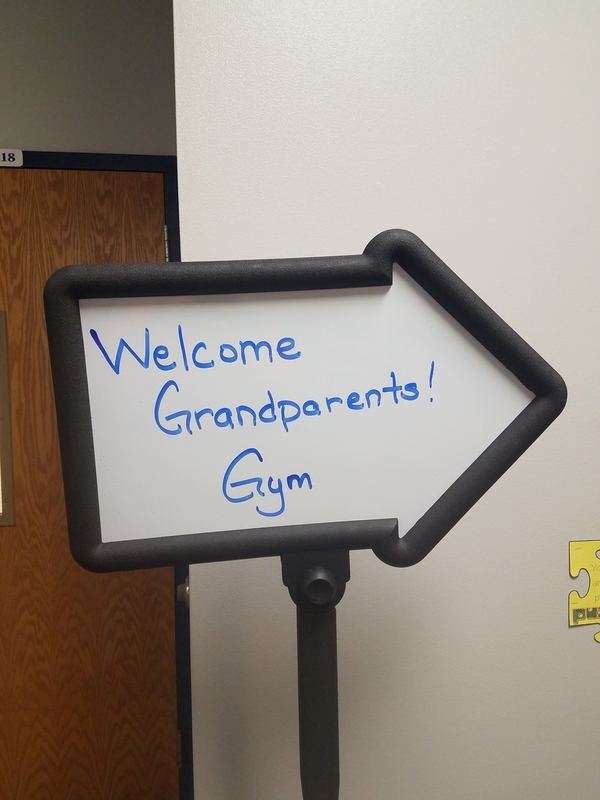 Homan Elementary school is ready for Grandparents day on Tuesday April 10th. 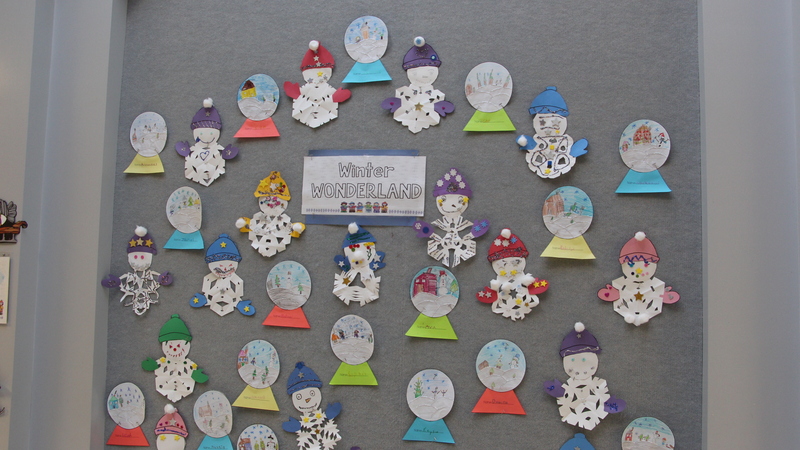 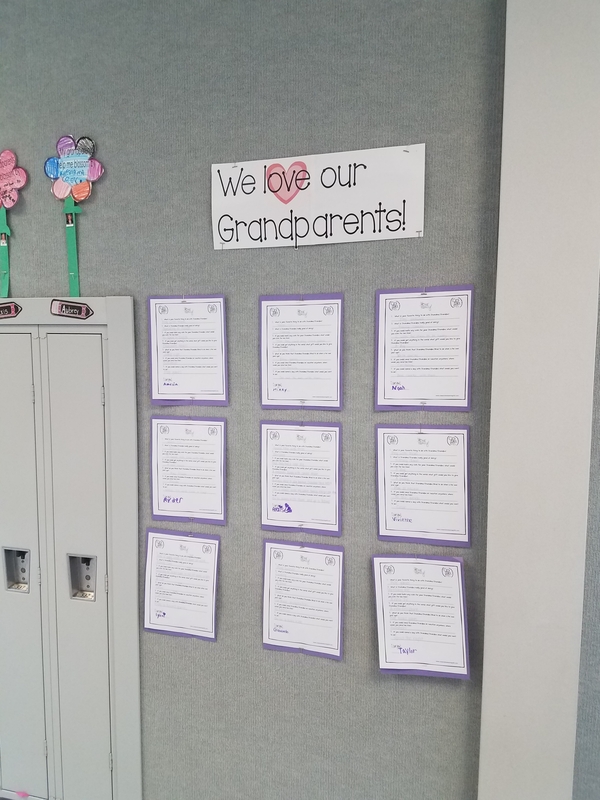 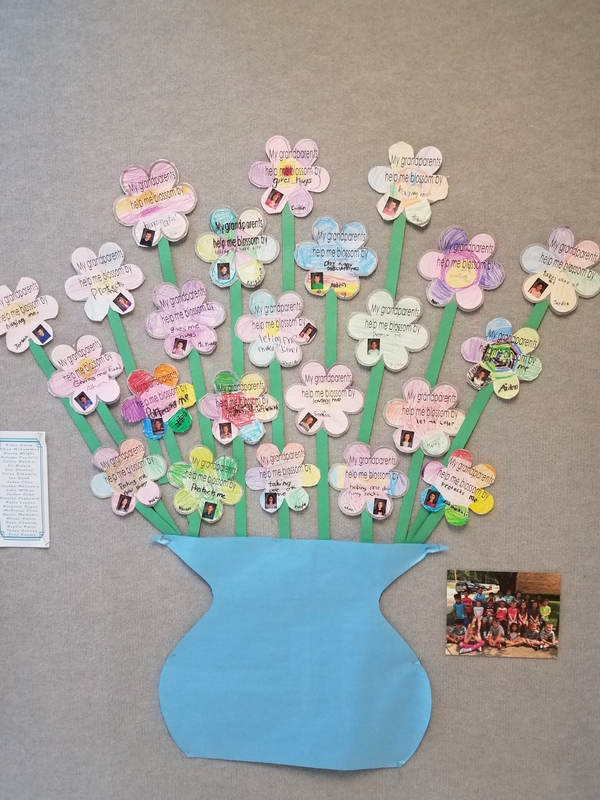 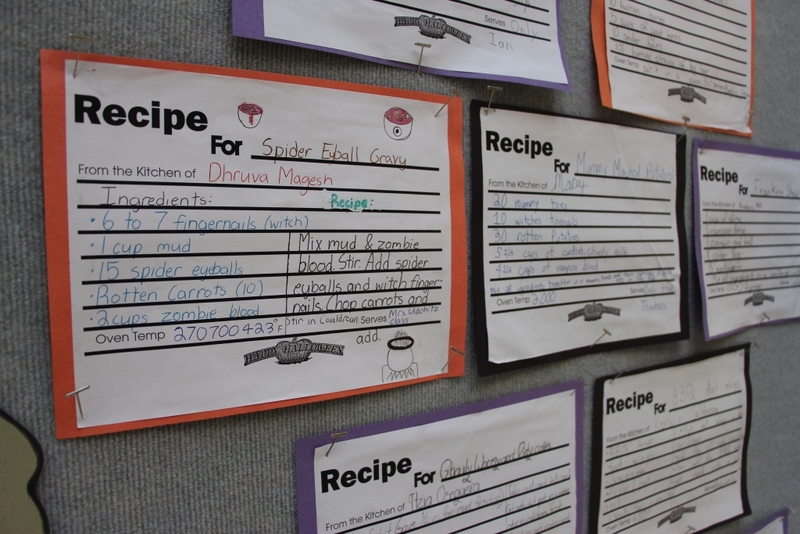 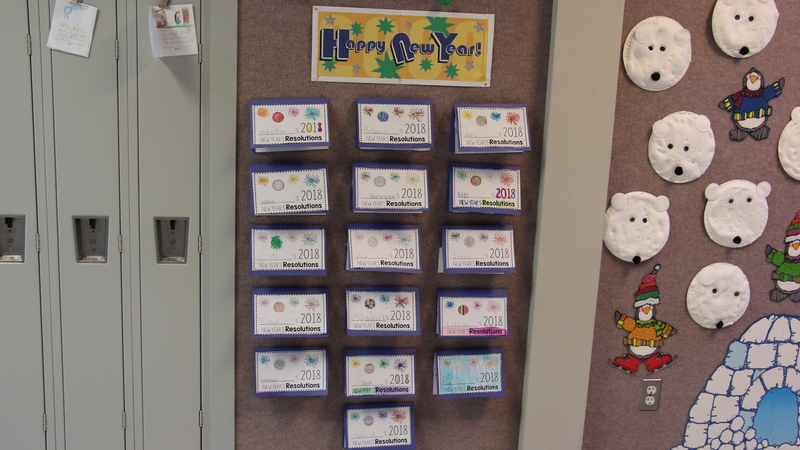 Classes have completed grandparent related projects and displayed them around the school. 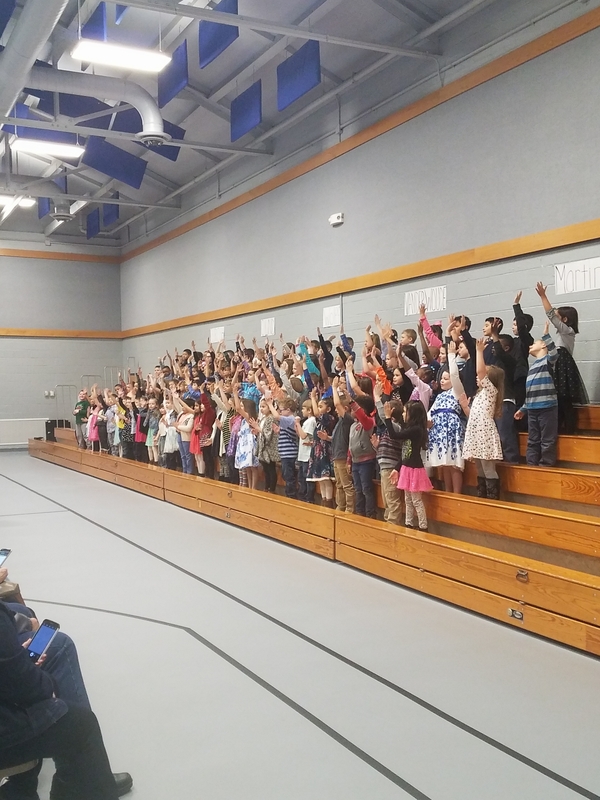 Homan’s 1st grade students are ready to bring their grandparents to school! 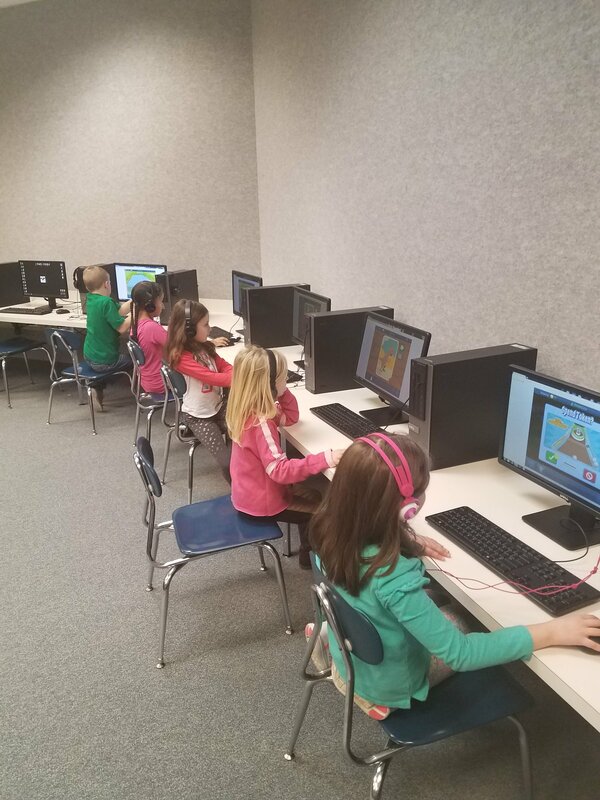 Missy Vander Woude’s 1st grade students work on the Dreambox application. 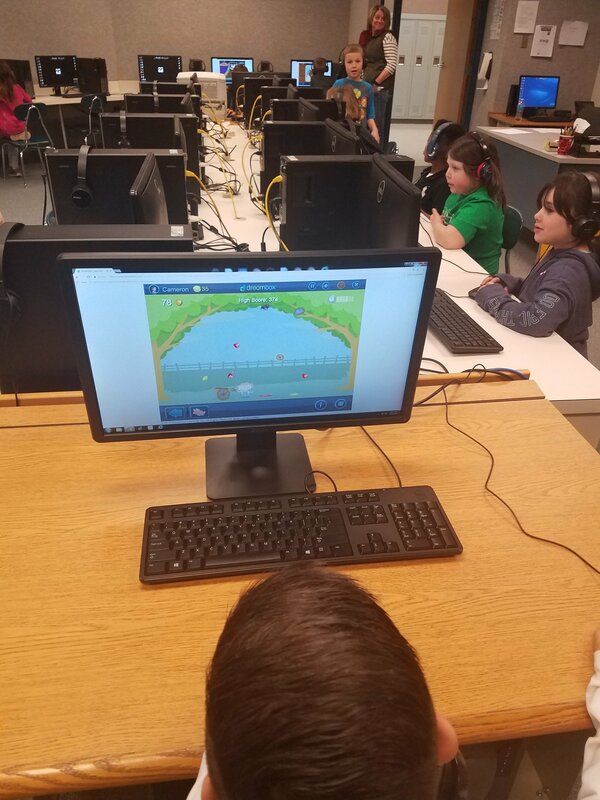 Dreambox is a tool used to help kids with their math skills. 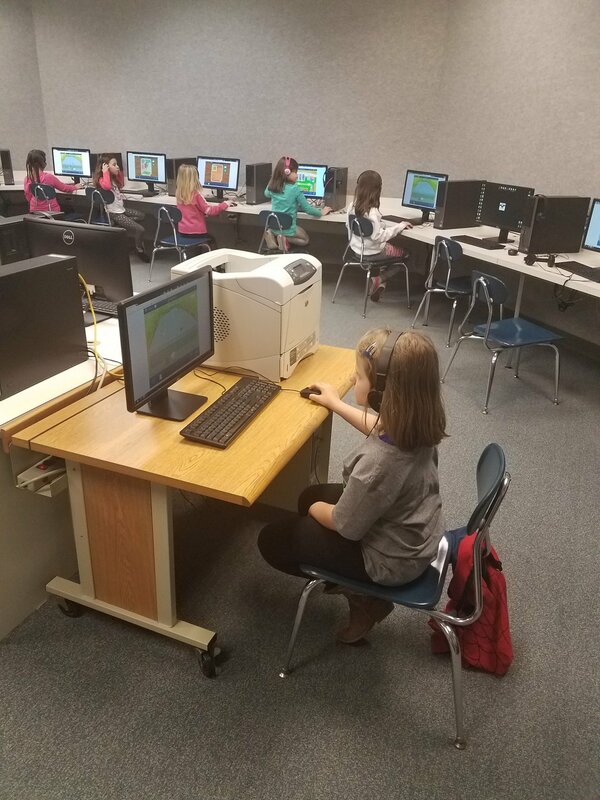 Dreambox test kids and determines their abilities to help progress them. 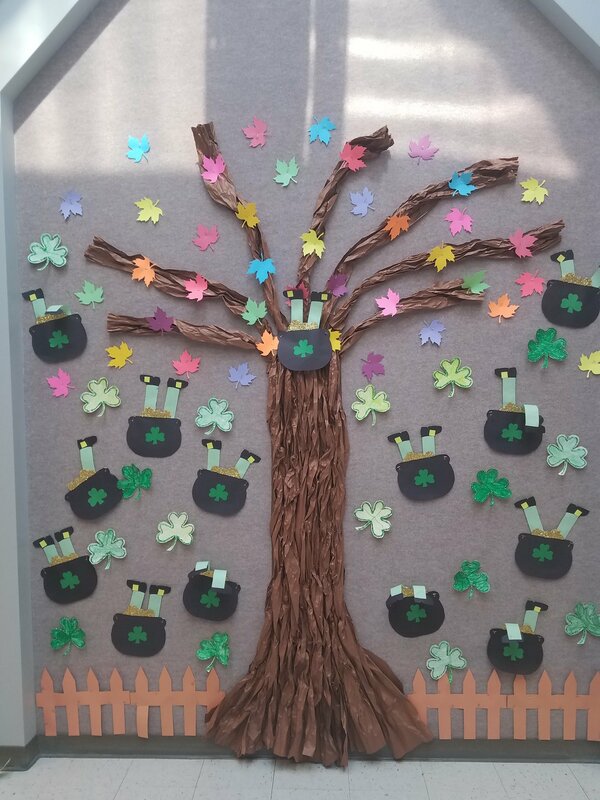 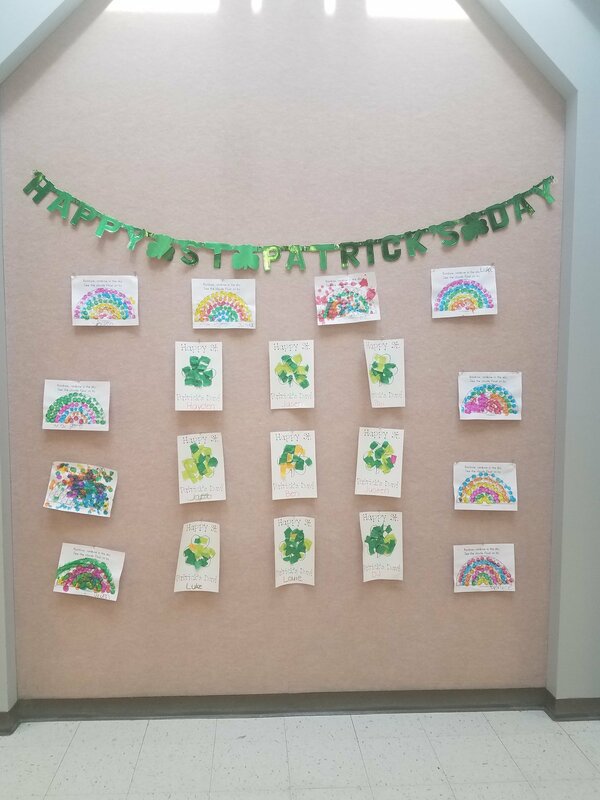 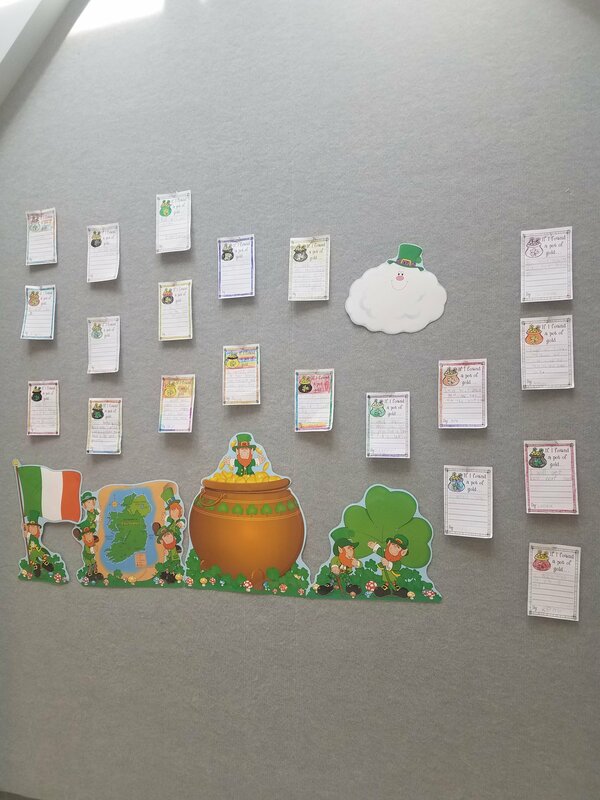 Here is some art done by Homan students for St. Patrick’s day. 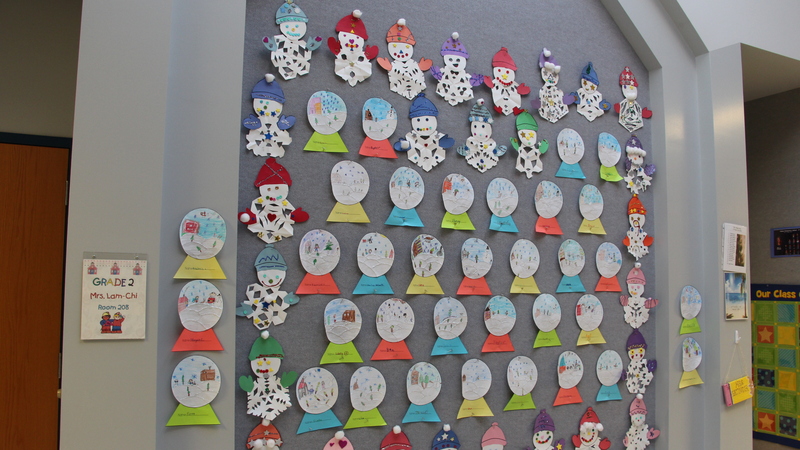 Fun to see Homan in the holiday spirit. 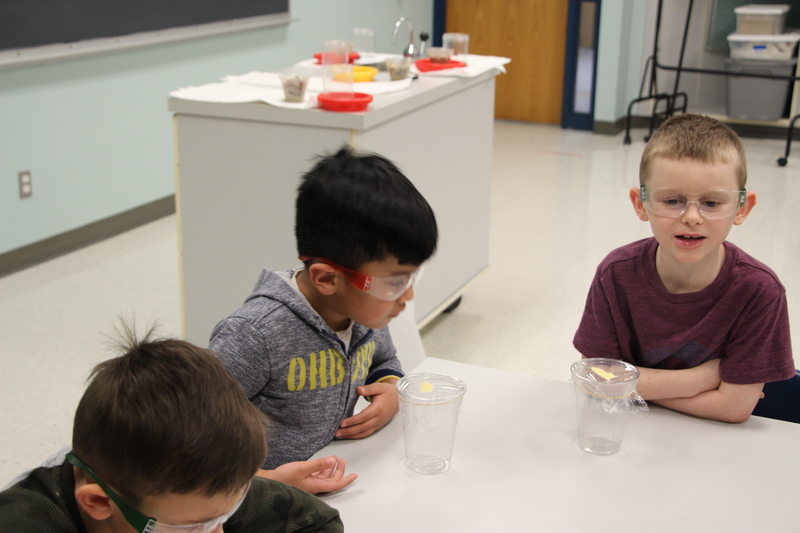 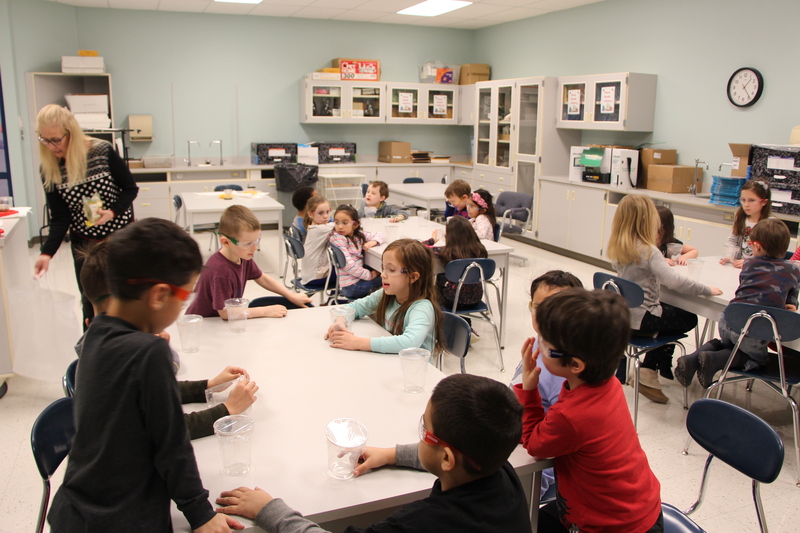 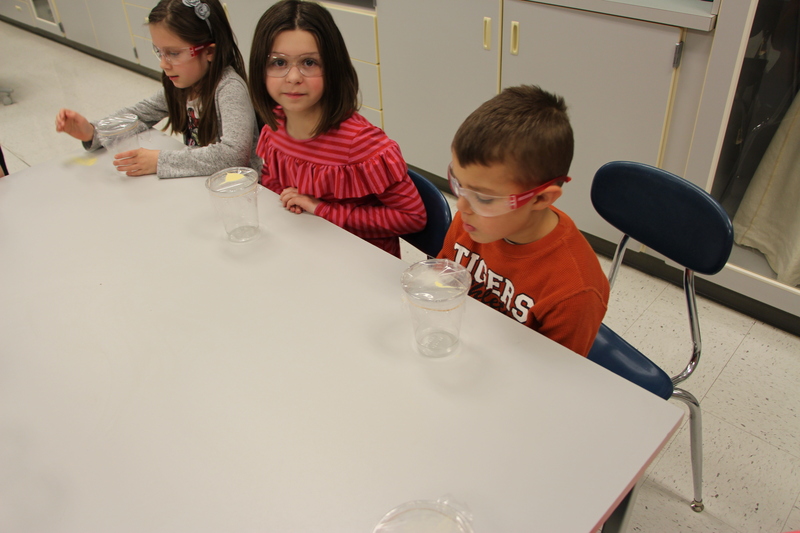 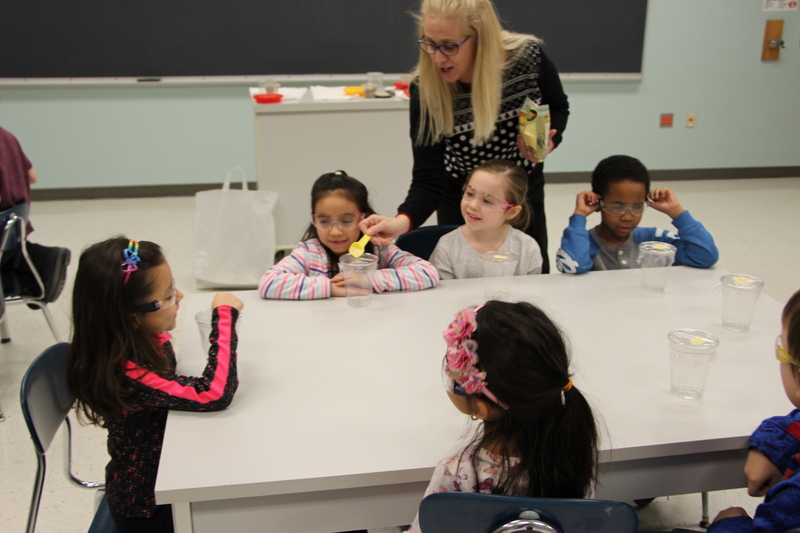 Mrs. Wolff’s first grade class participates in a science experiment. 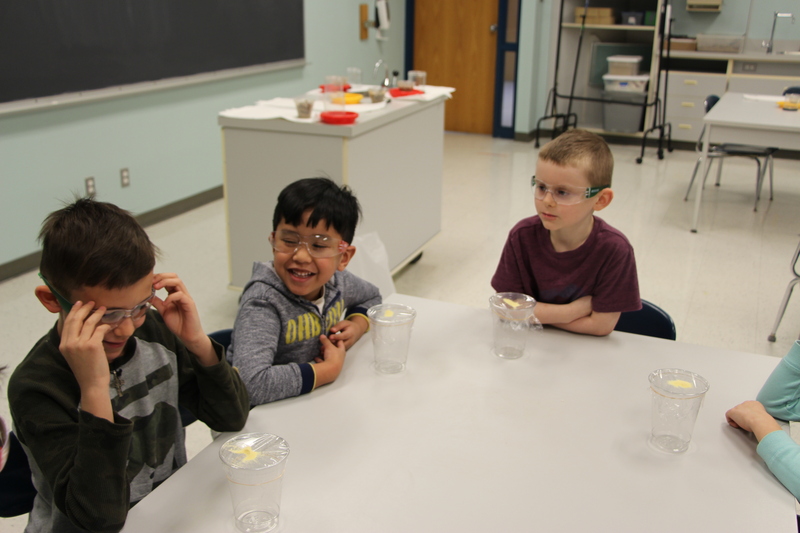 This experiment was to see soundwaves. 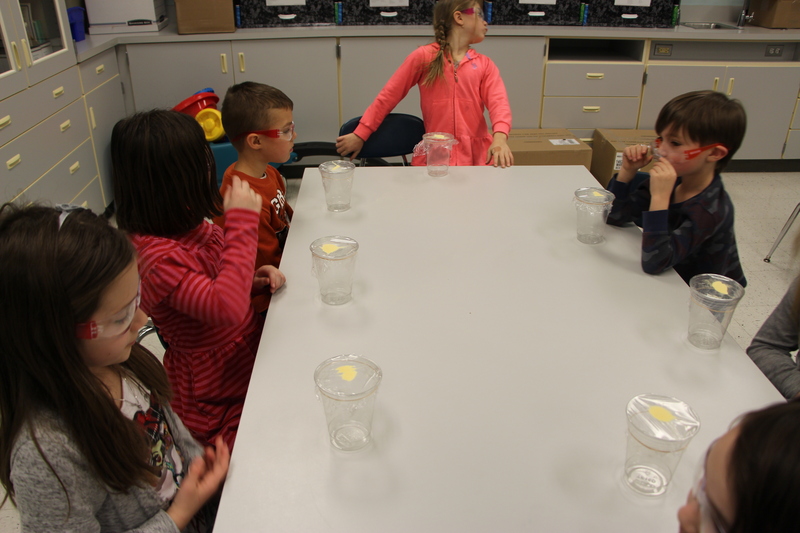 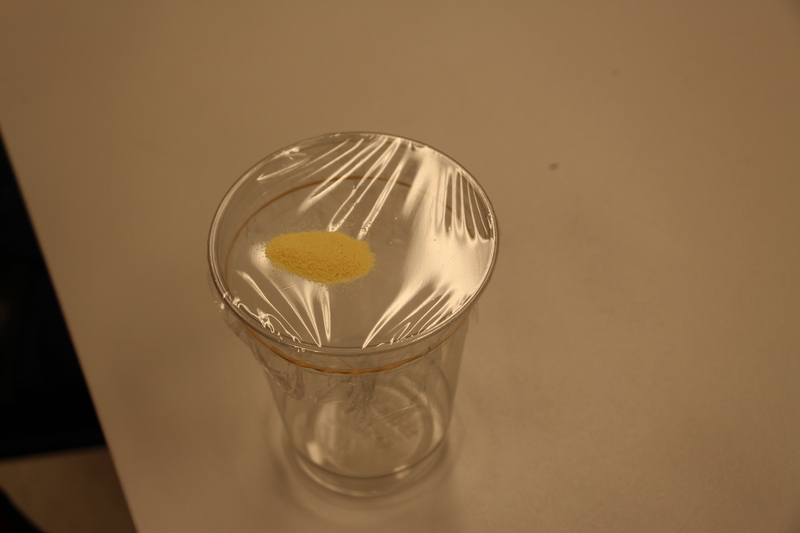 They accomplished this by putting sand on a cup with a plastic top, almost like a drum, and then they hummed by the cup to see the vibrations. 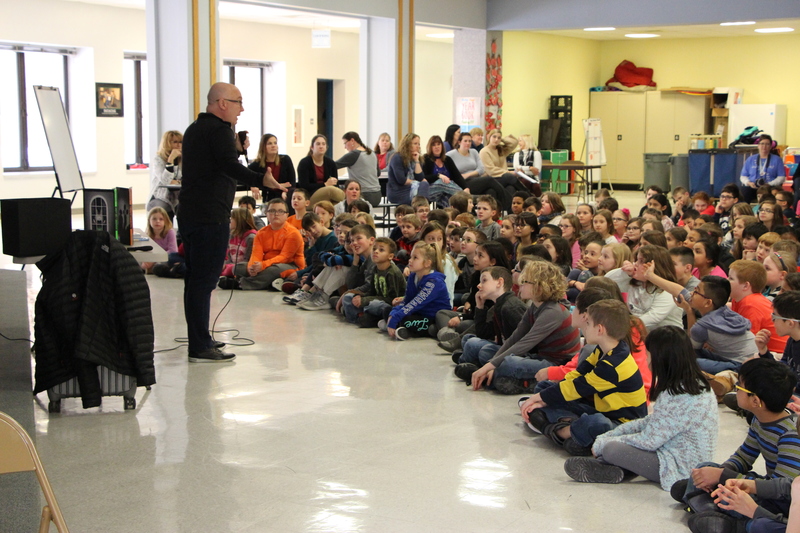 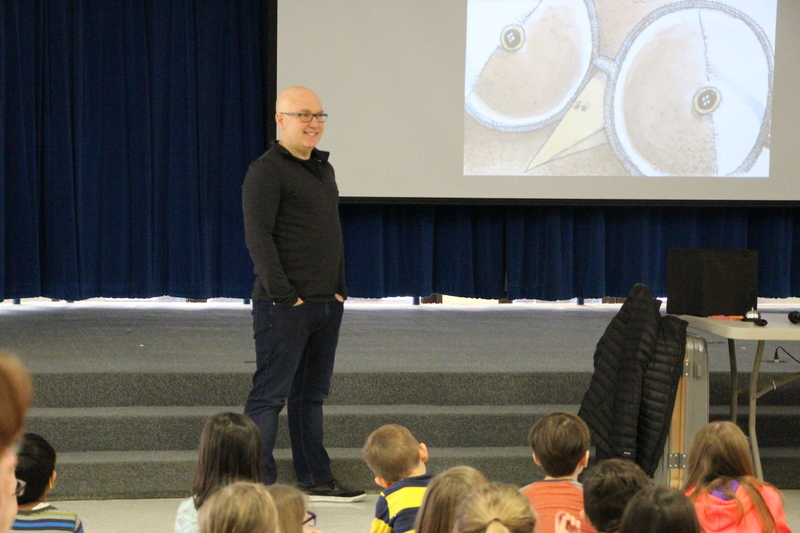 Author Aaron Reynolds meets with all grades at Homan. 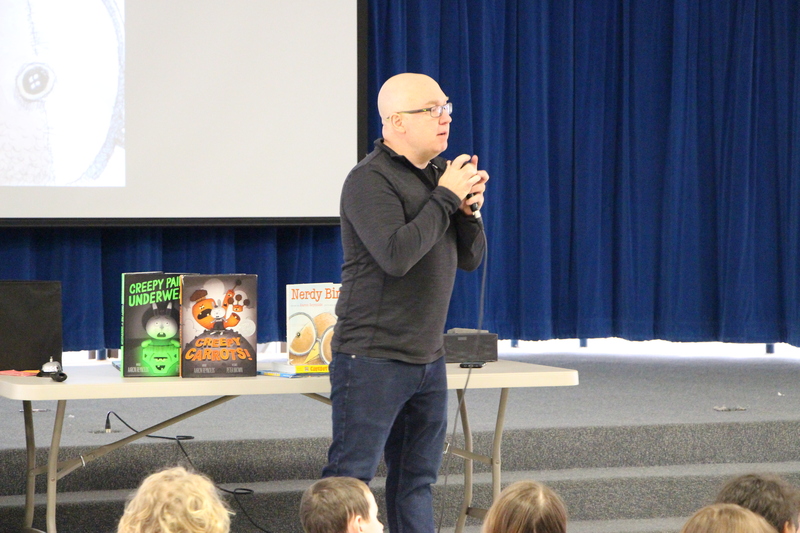 Aaron Reynolds writes children’s books. 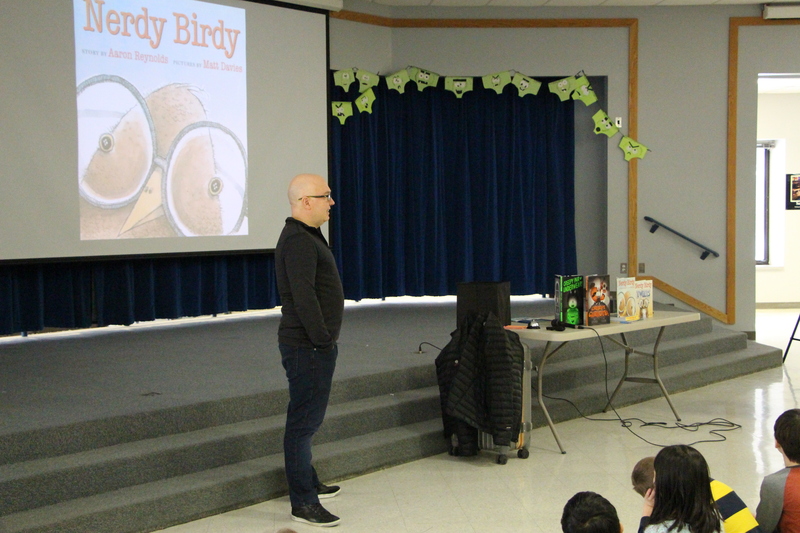 He currently has 18 books published. 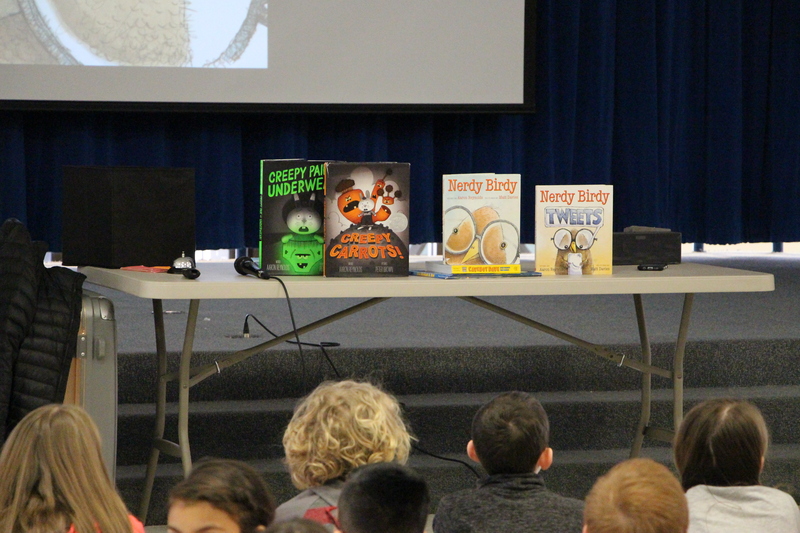 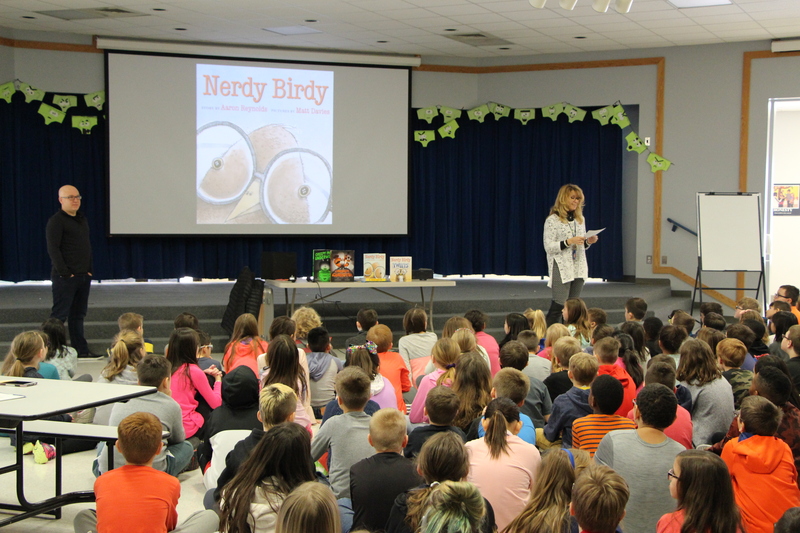 Aarons presentation was to inspire young authors and get them excited about reading and writing. 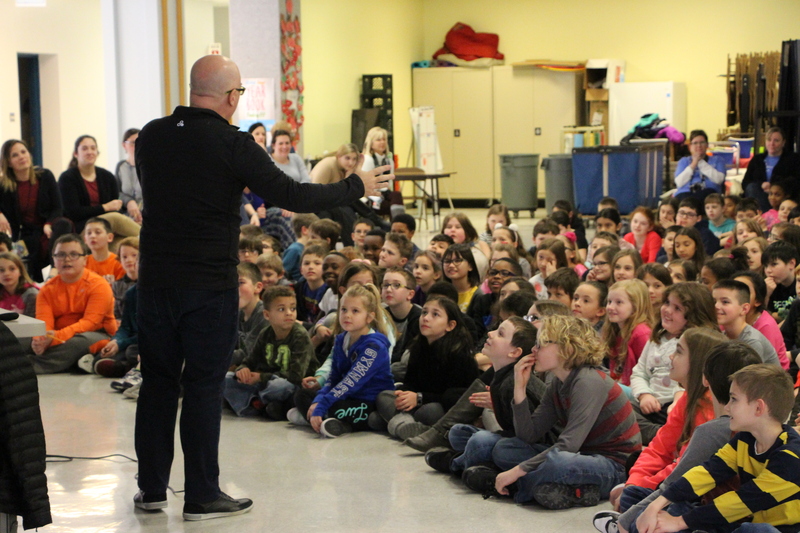 The delievery of his information is hilarious for kids. 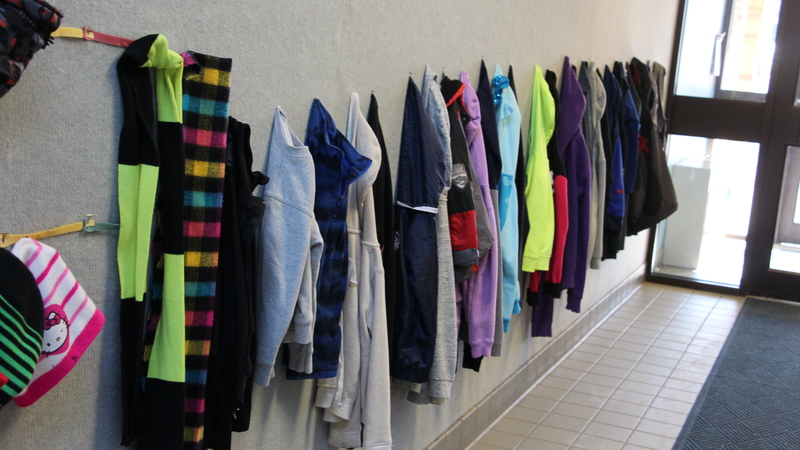 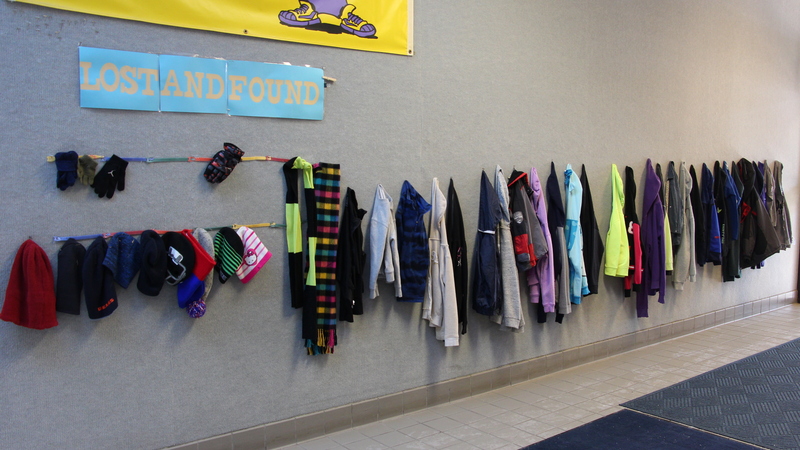 The lost and found at Homan is looking pretty full these days! 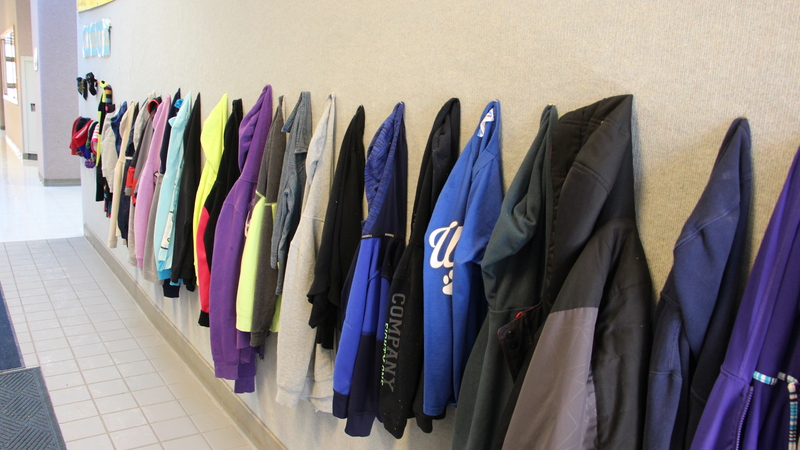 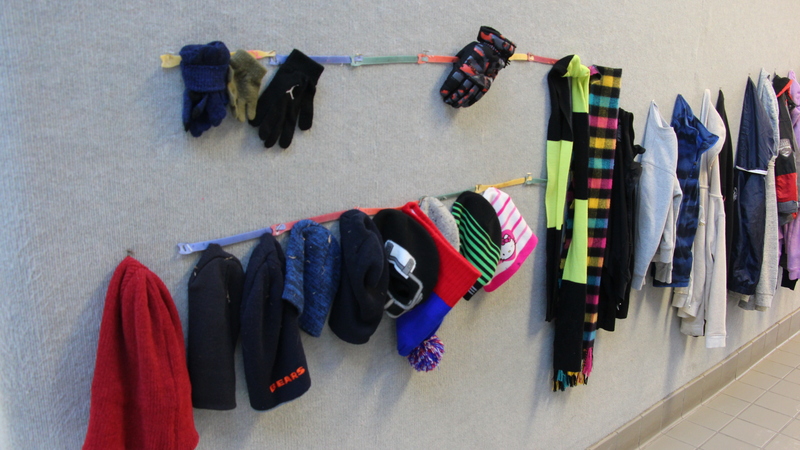 Make sure you have your child check it out for any missing winter attire to keep them warm during these cold days! 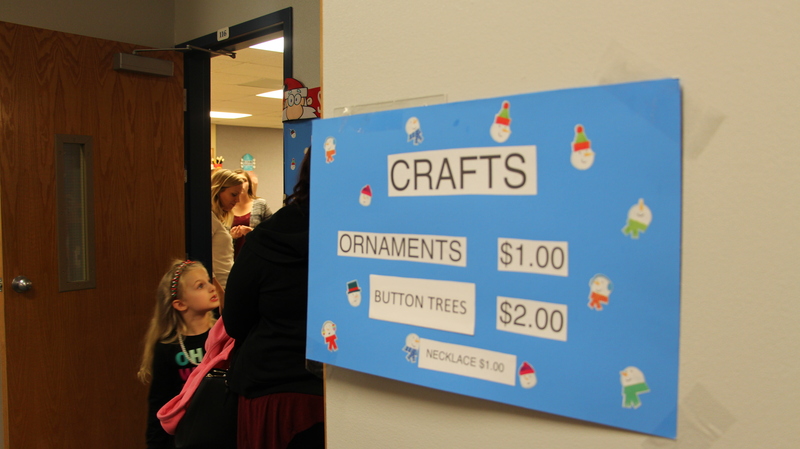 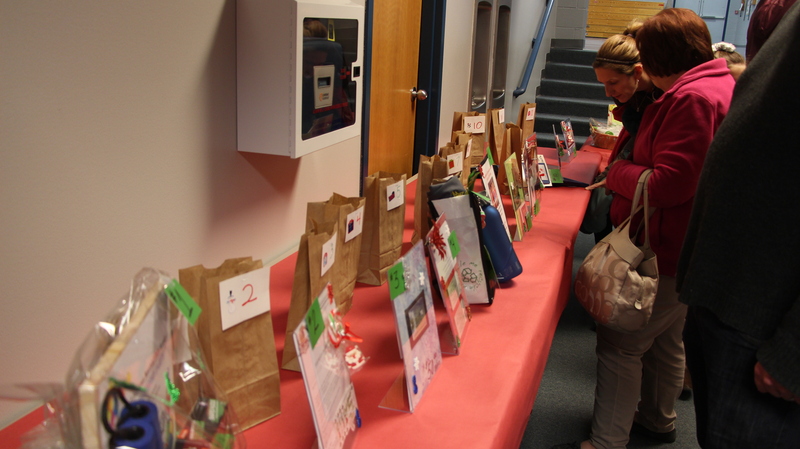 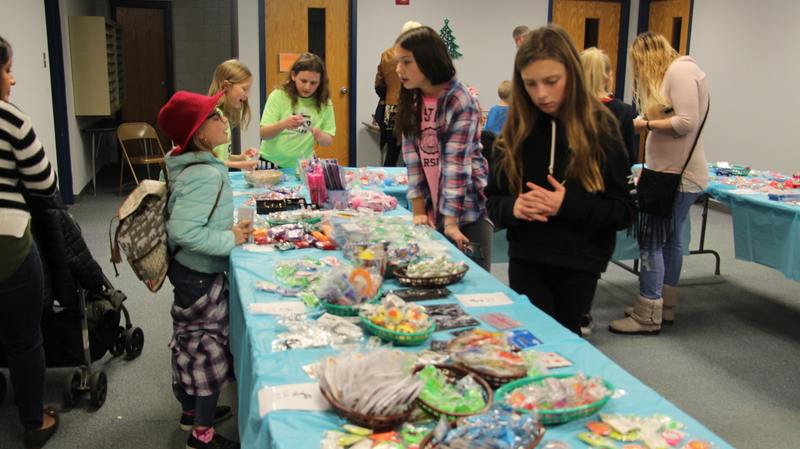 On Friday December 1st Homan Elementary had their winter fest. 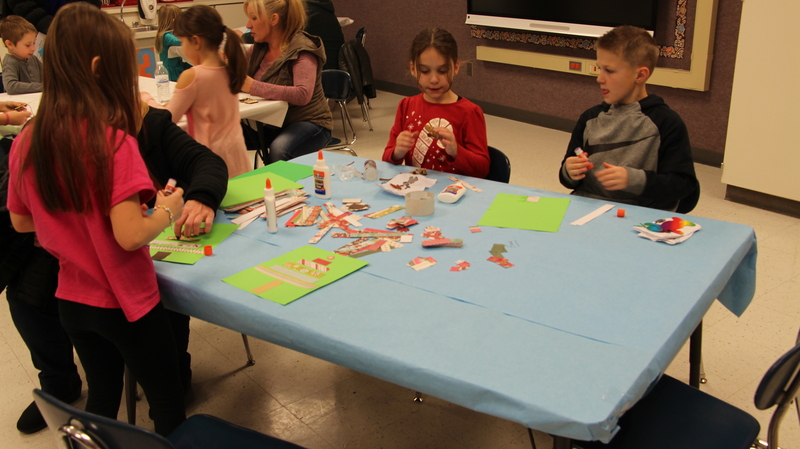 The night consisted of food, arts and crafts, raffles, pictures with Santa, and Christmas shopping. 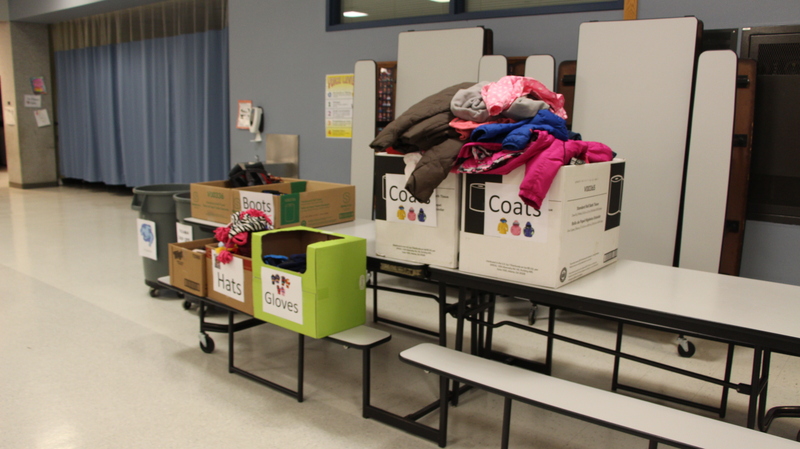 They were also hosting a coat drive to help those in need. 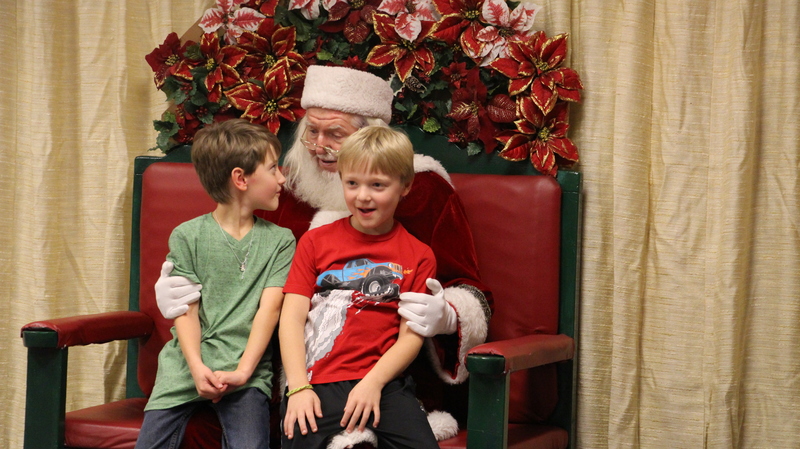 It was a nice night to kick off the Holiday festivities. 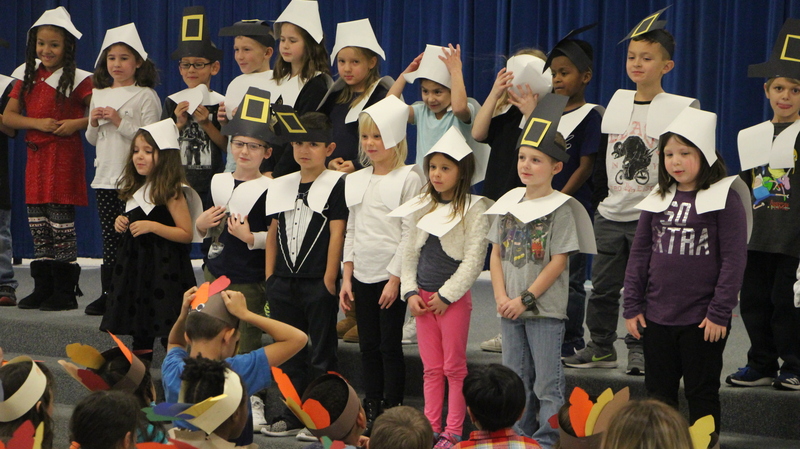 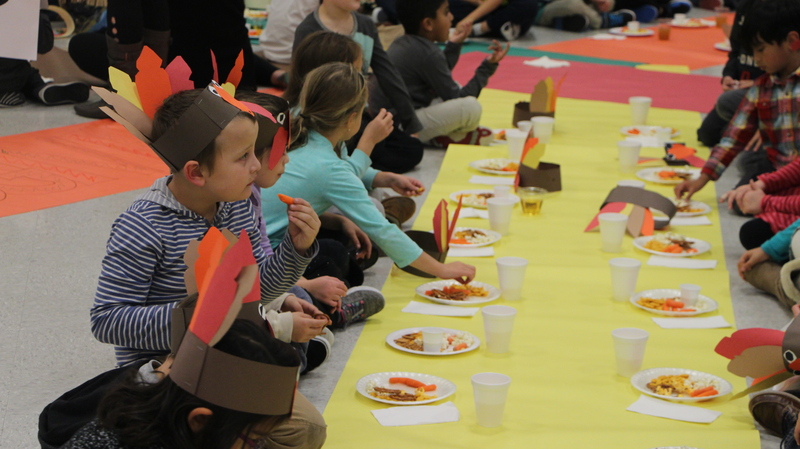 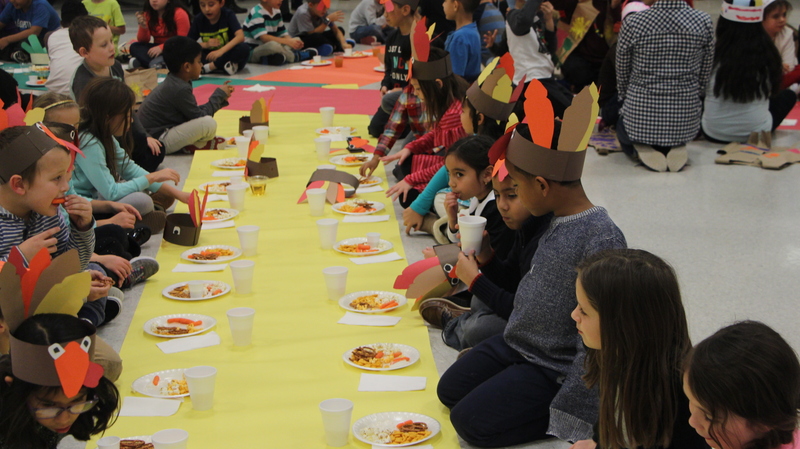 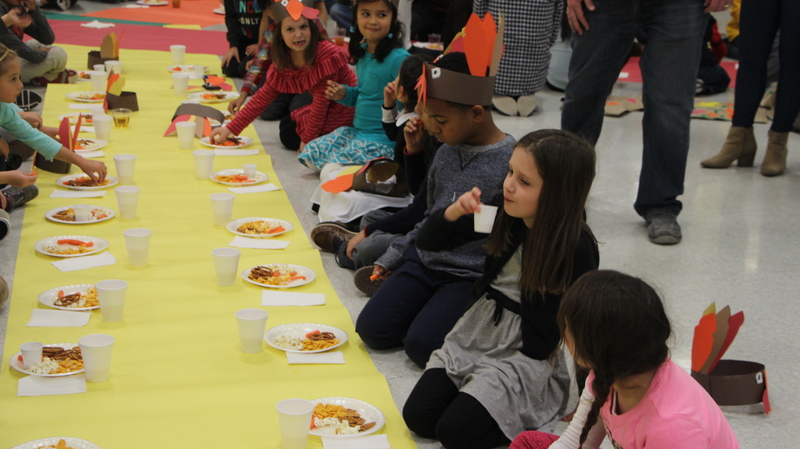 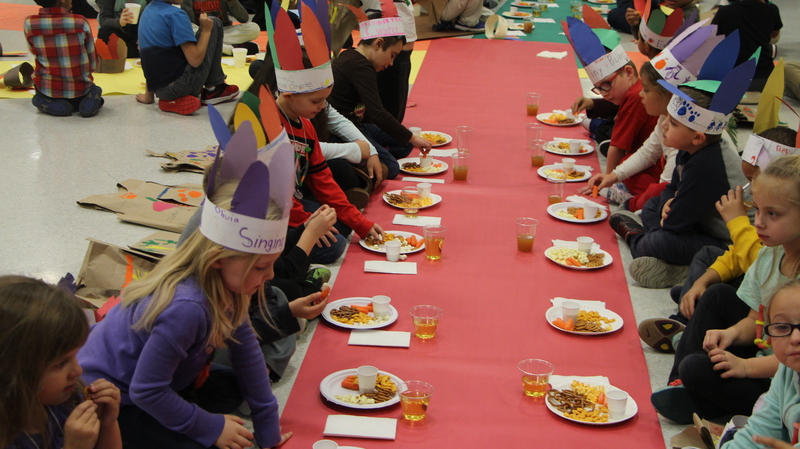 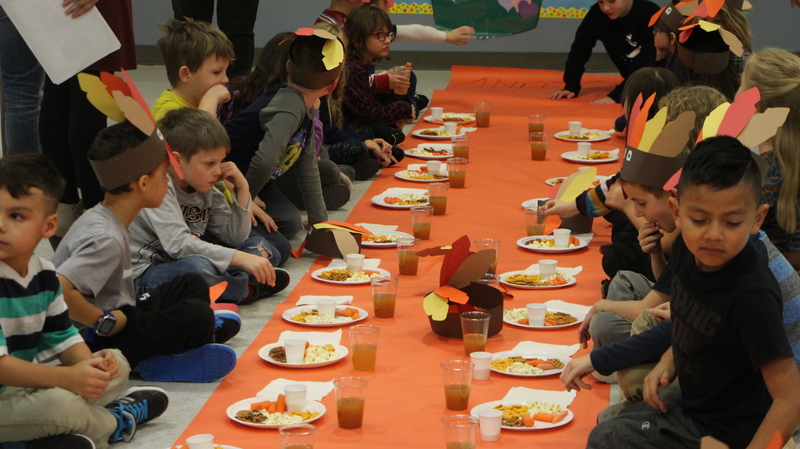 The whole first grade class got together November, 21st to celebrate Thanksgiving. 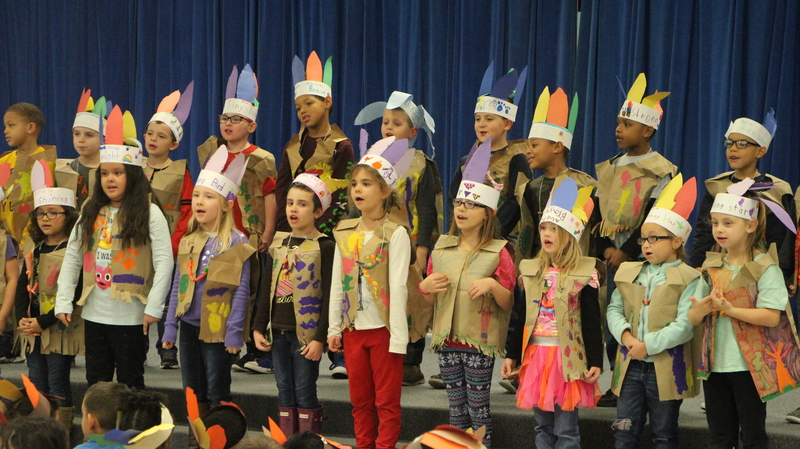 They celebrated with each class performing a song or skit. 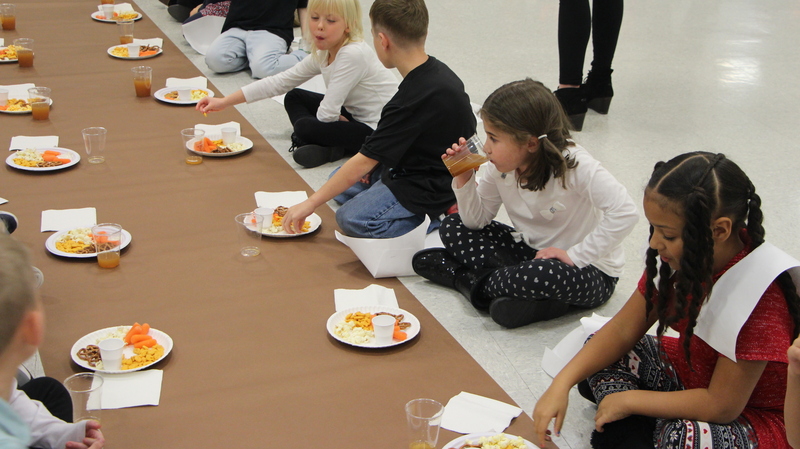 After their performances everyone enjoyed a nice Friendsgiving snack. 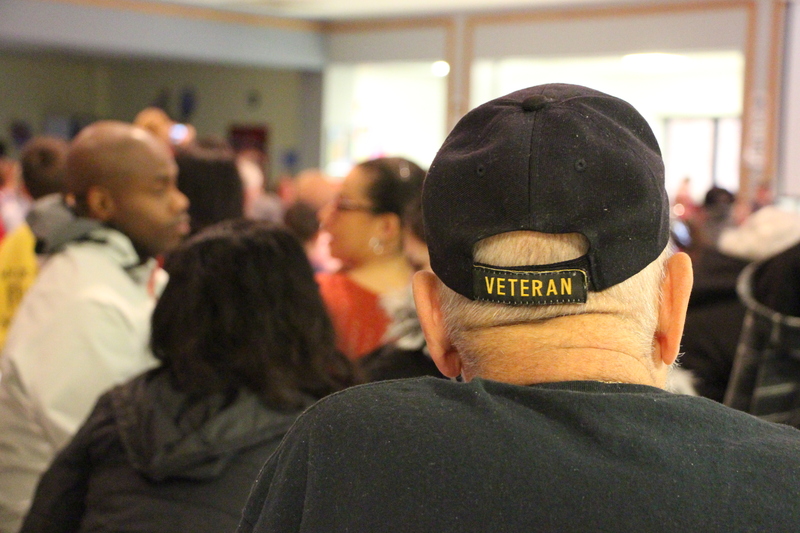 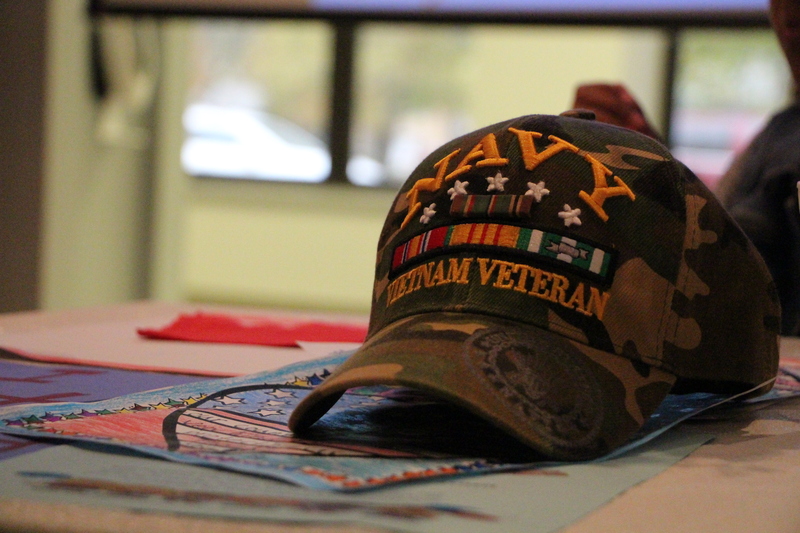 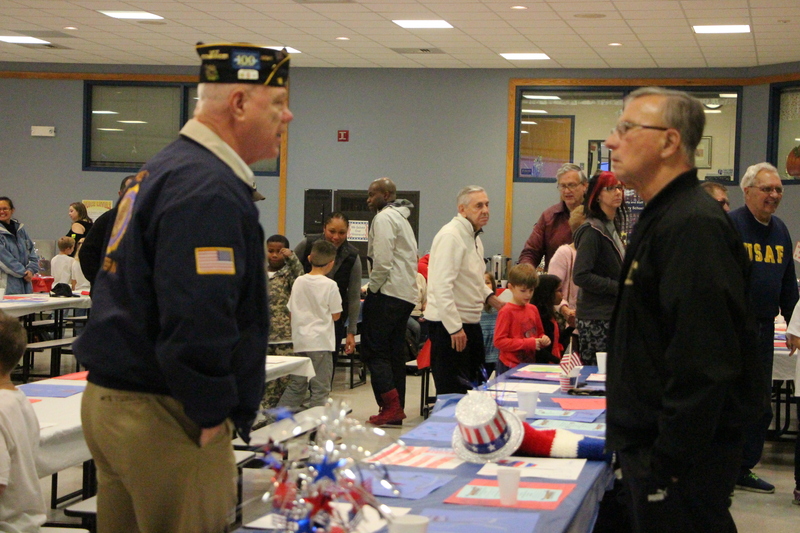 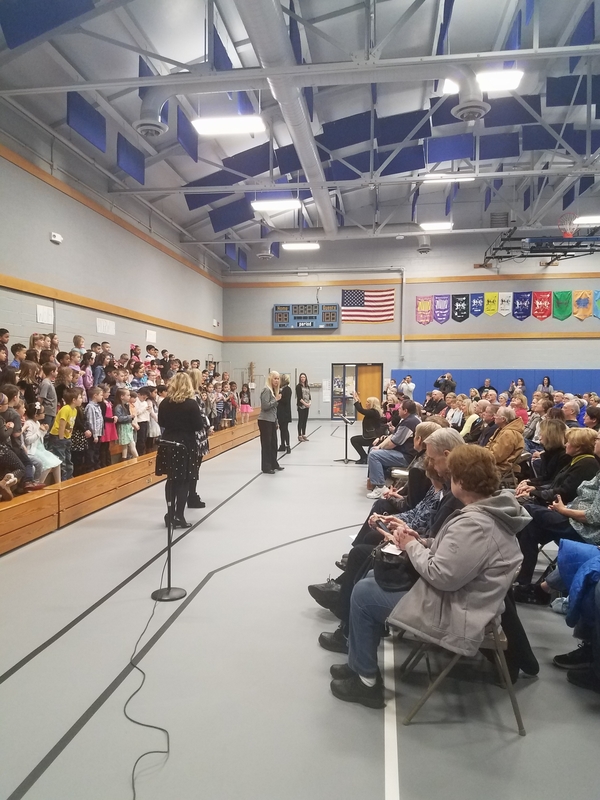 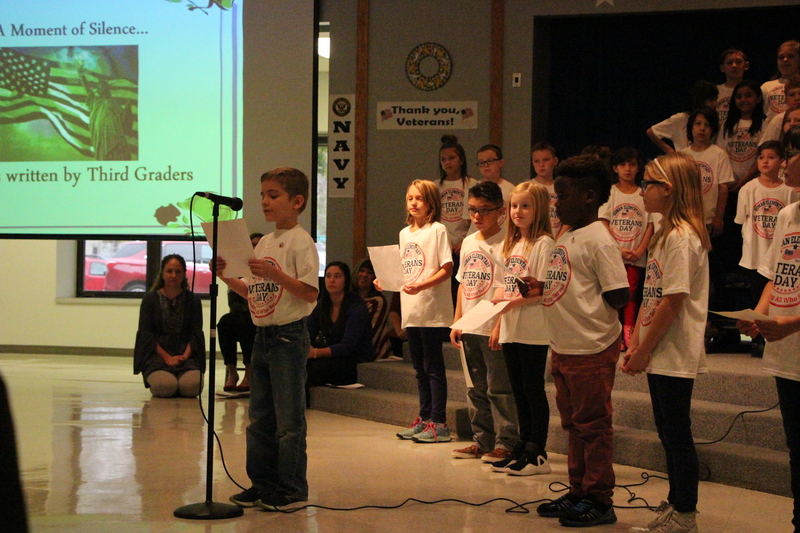 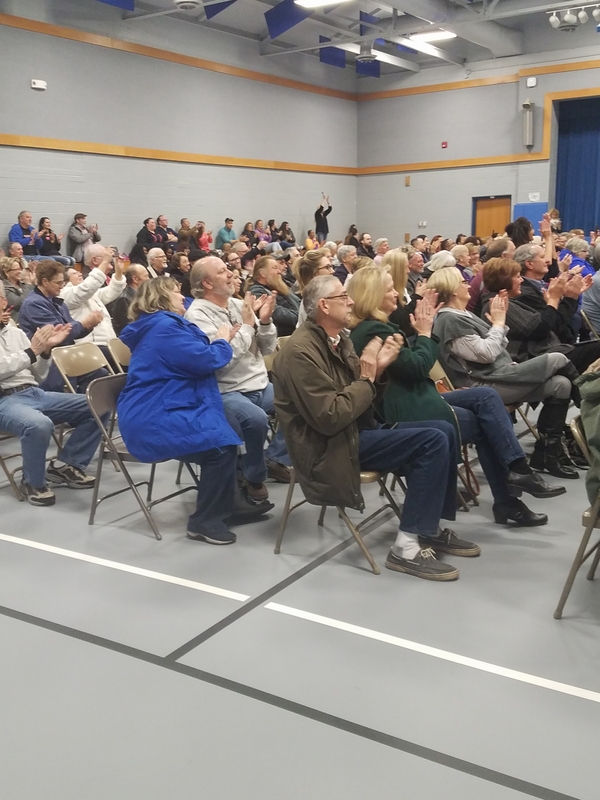 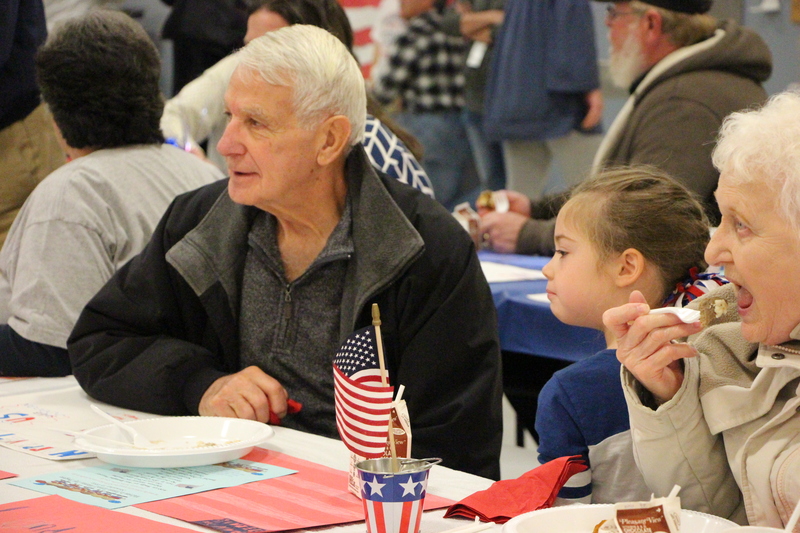 On November 10th Homan Elementary School hosted its annual Veterans Day breakfast. 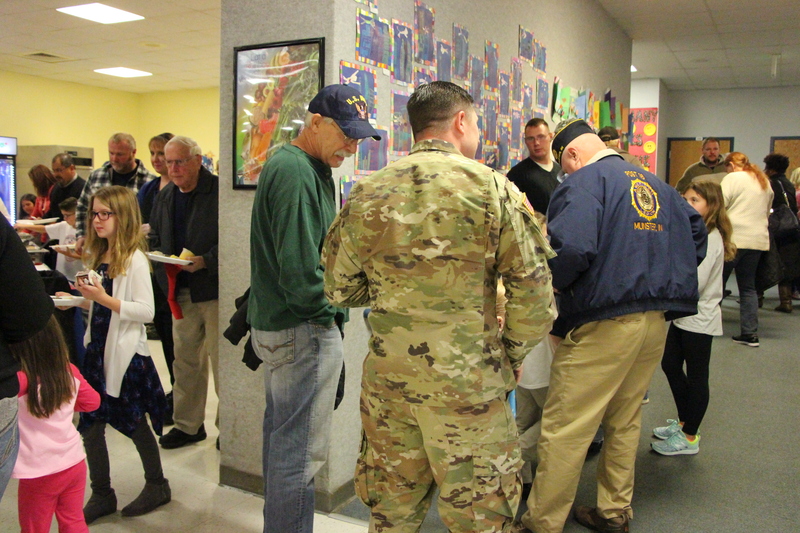 Students invited veterans to share this morning with. 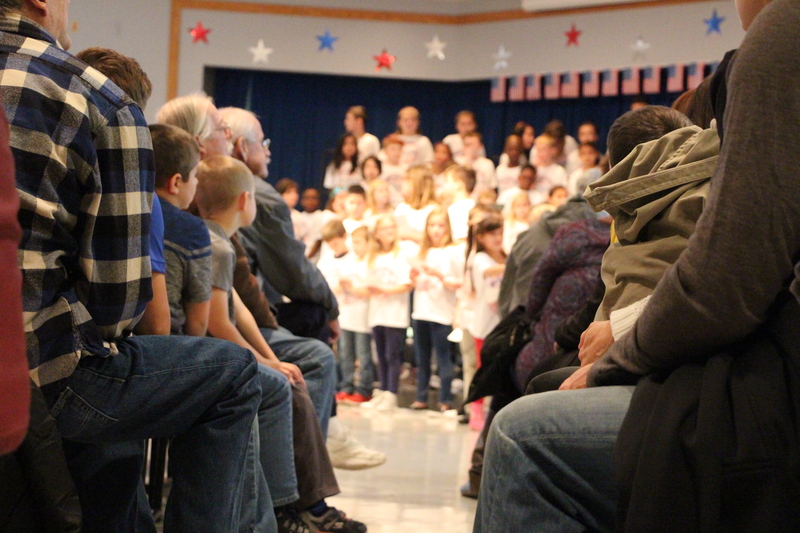 The morning was kicked off with student performances and then followed by breakfast. 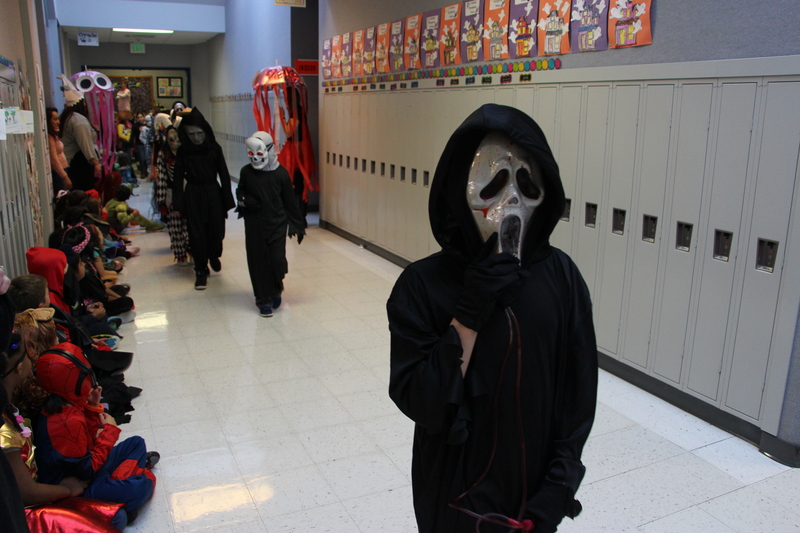 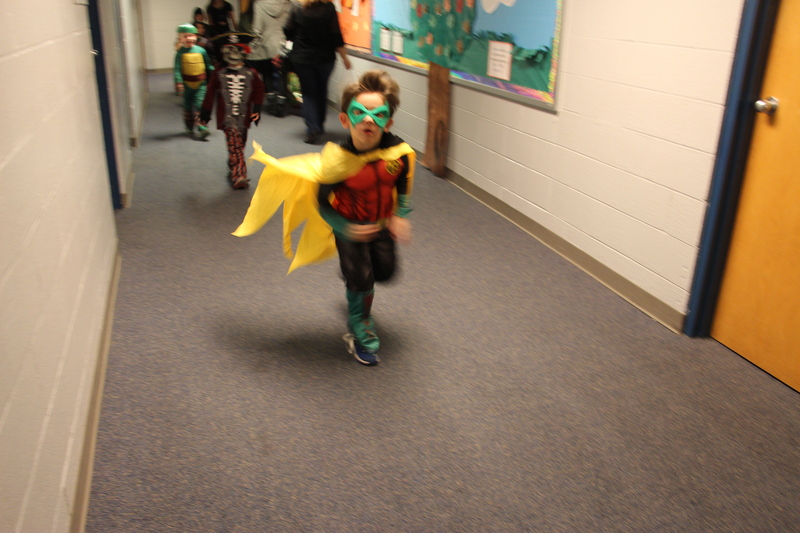 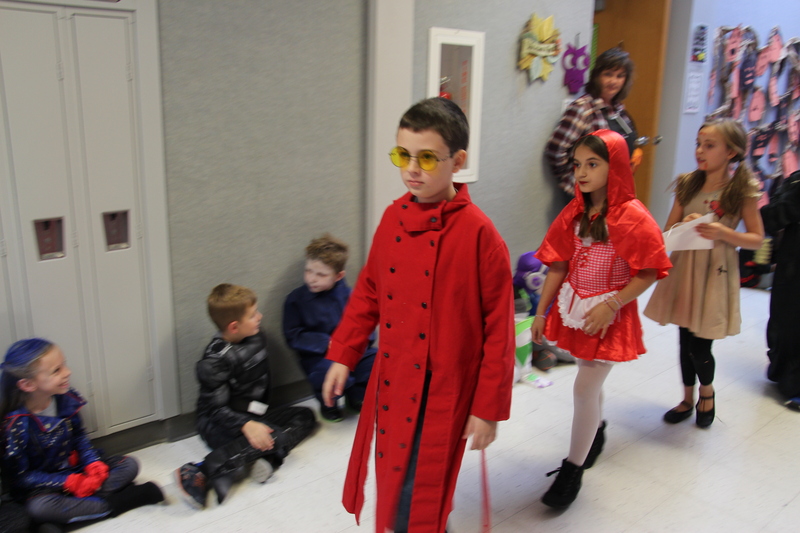 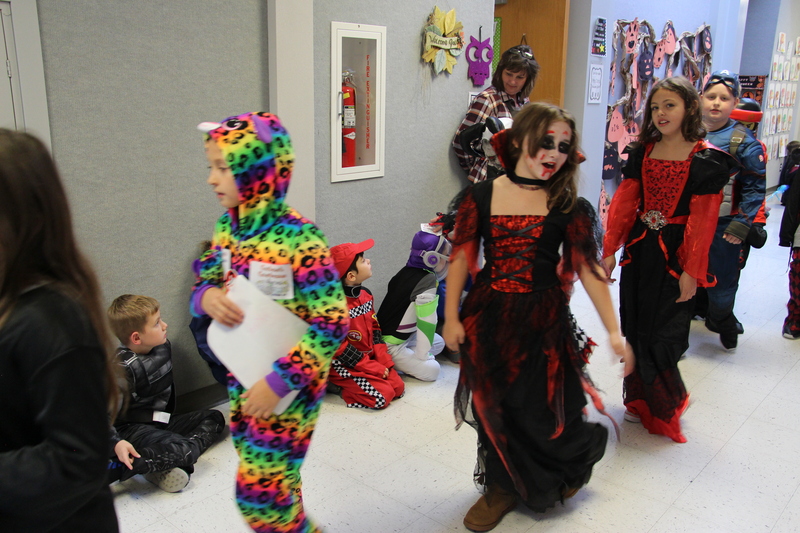 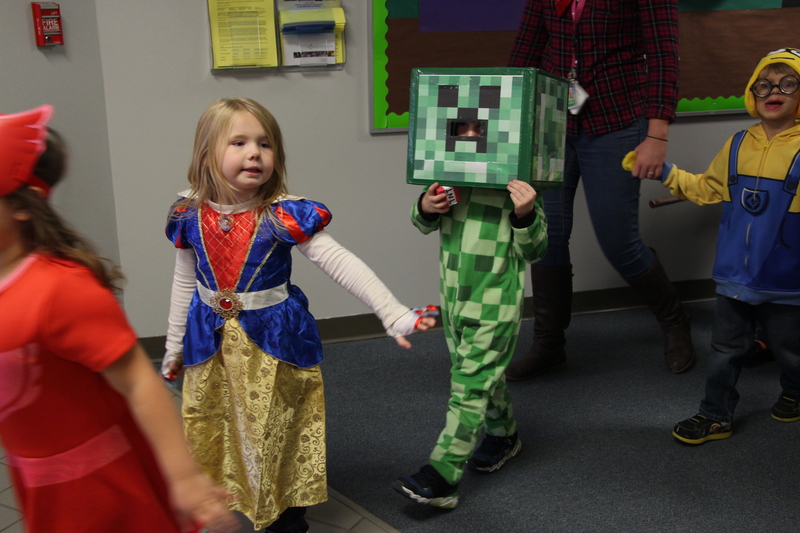 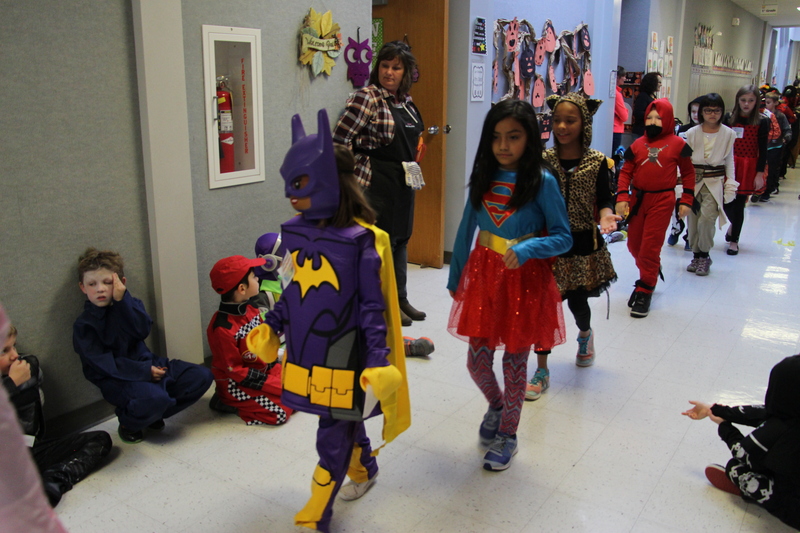 On October 31st Homan Elementary had their Halloween parade to kick off their Halloween parties. 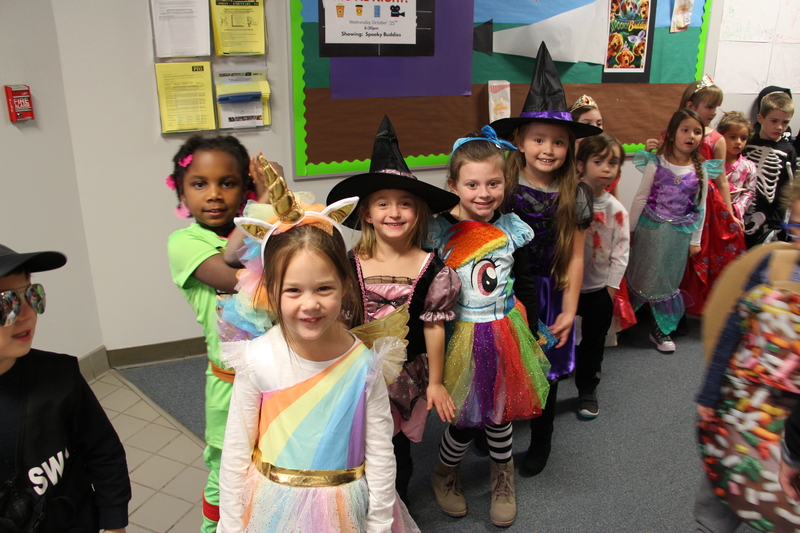 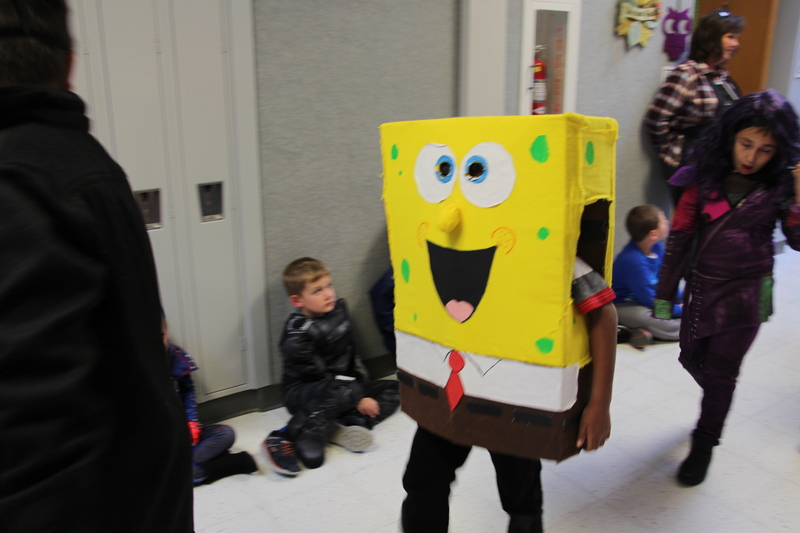 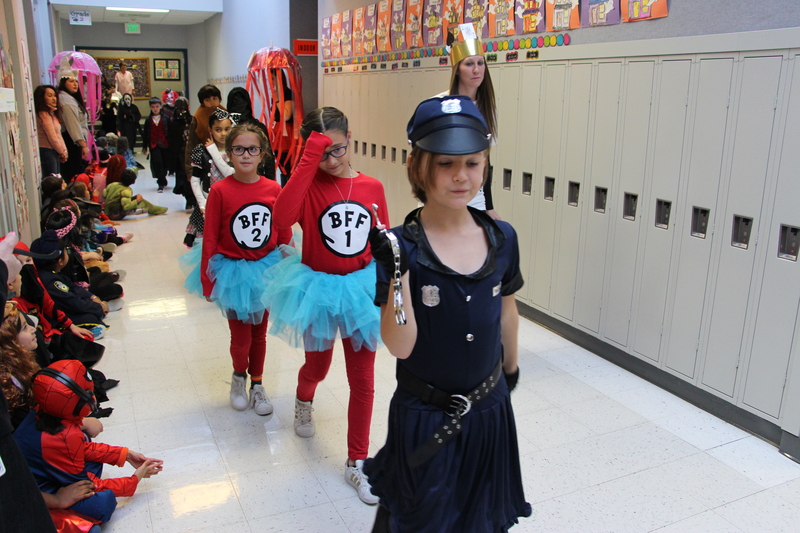 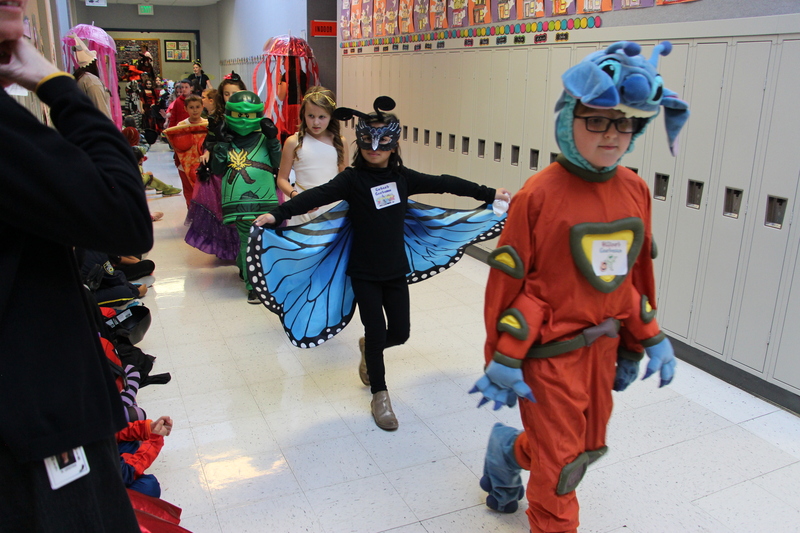 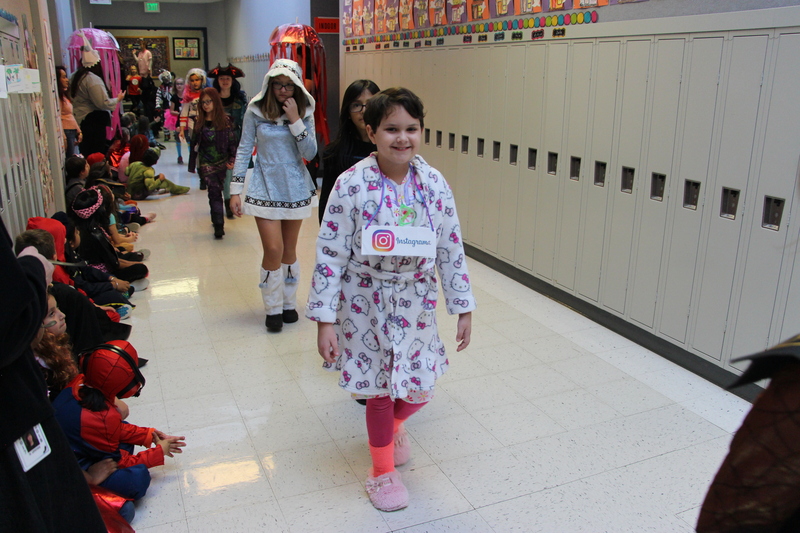 One grade at a time, students would parade around the school as they showed off their latest and greatest Halloween costumes. 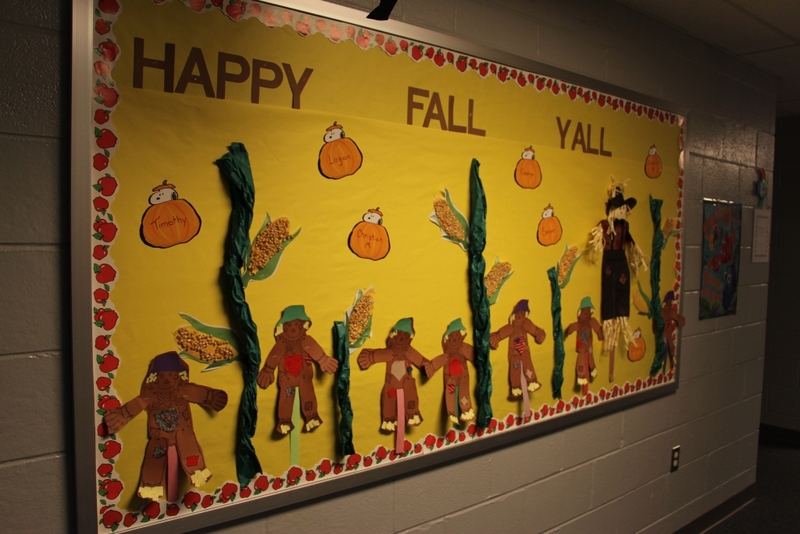 Homan is really embracing this fall season. 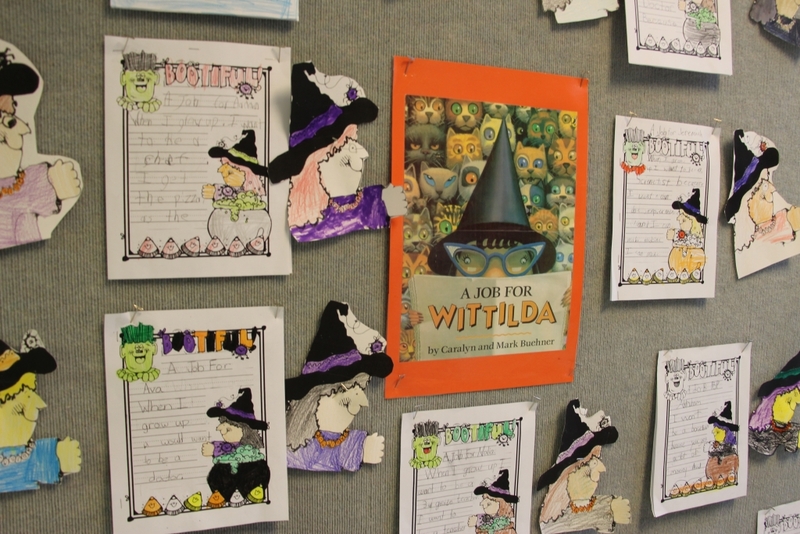 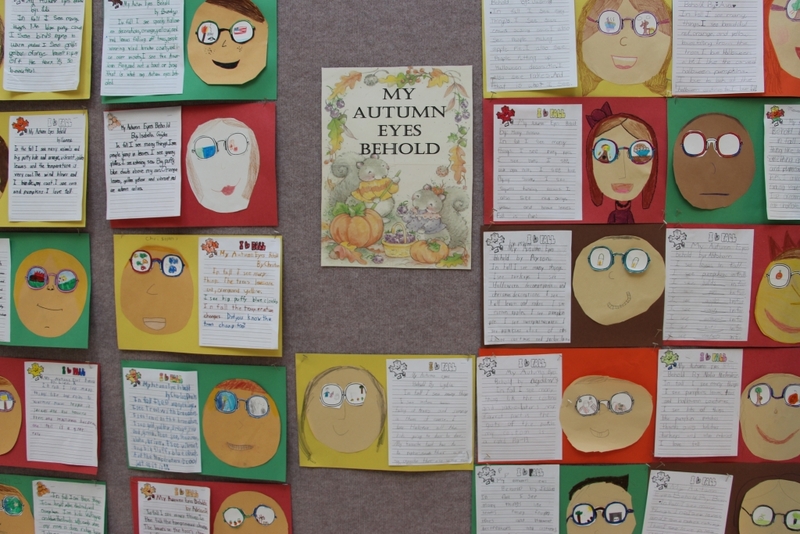 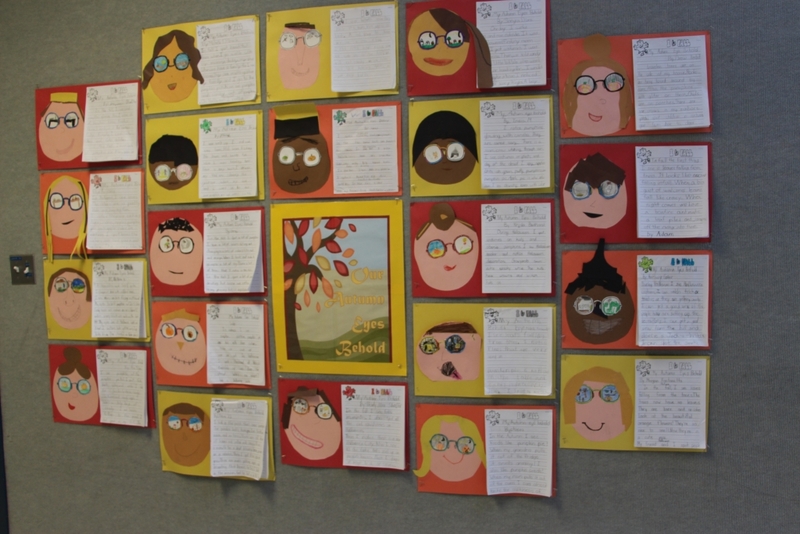 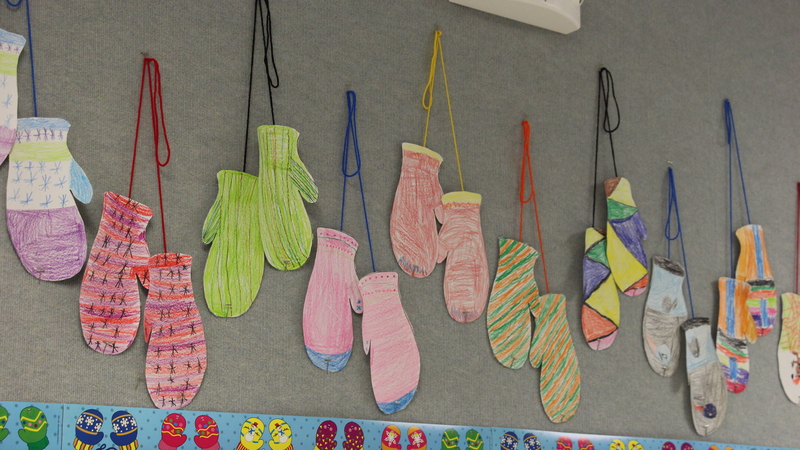 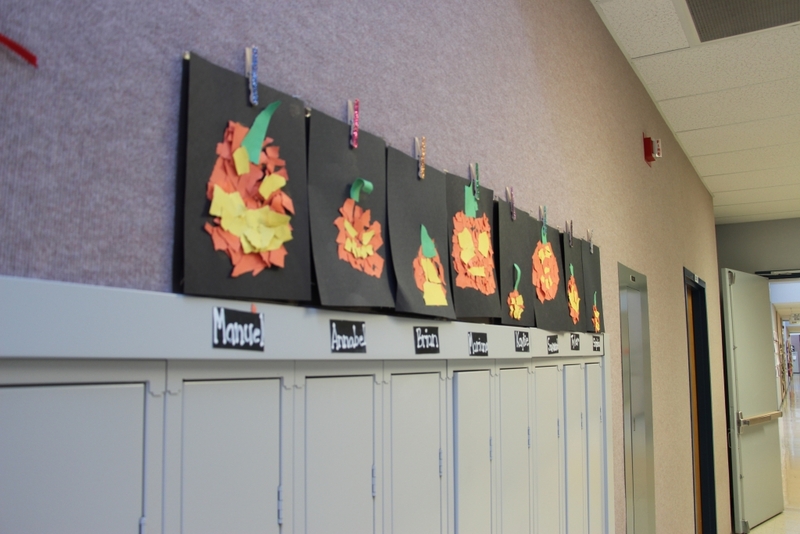 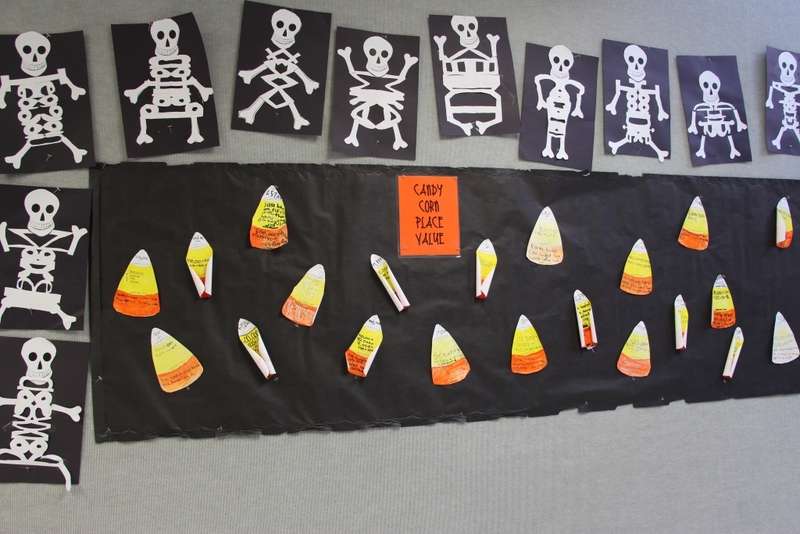 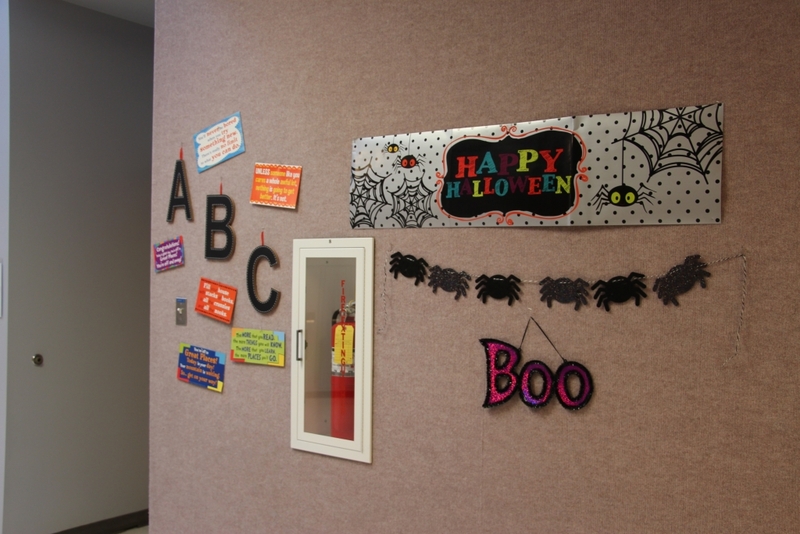 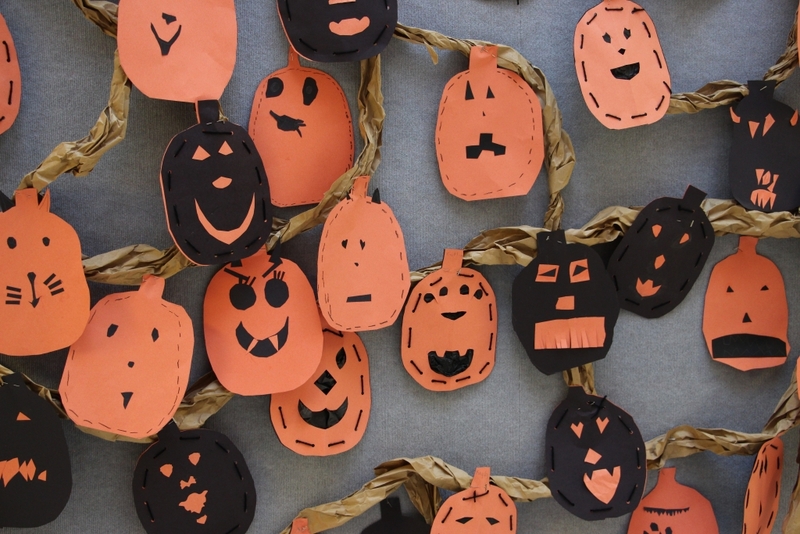 Outside nearly every class room is fall decorations that are displaying students classwork. 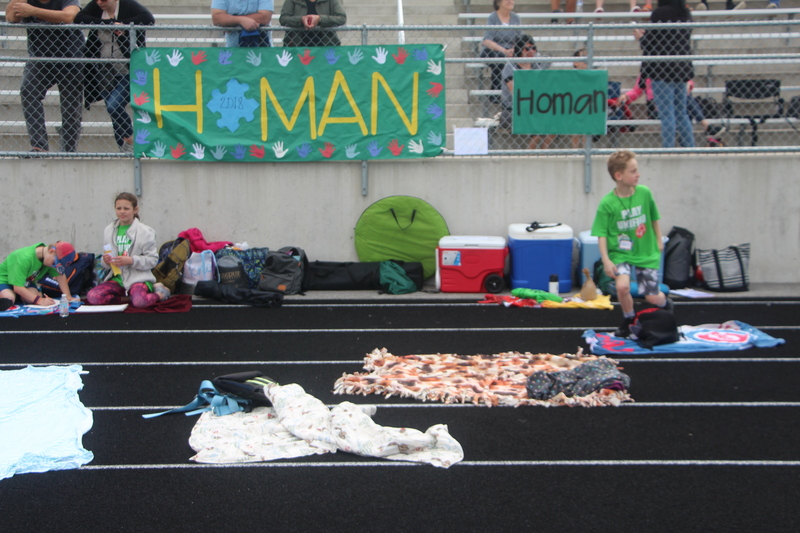 It is so nice to see Homan so festive this time of year. 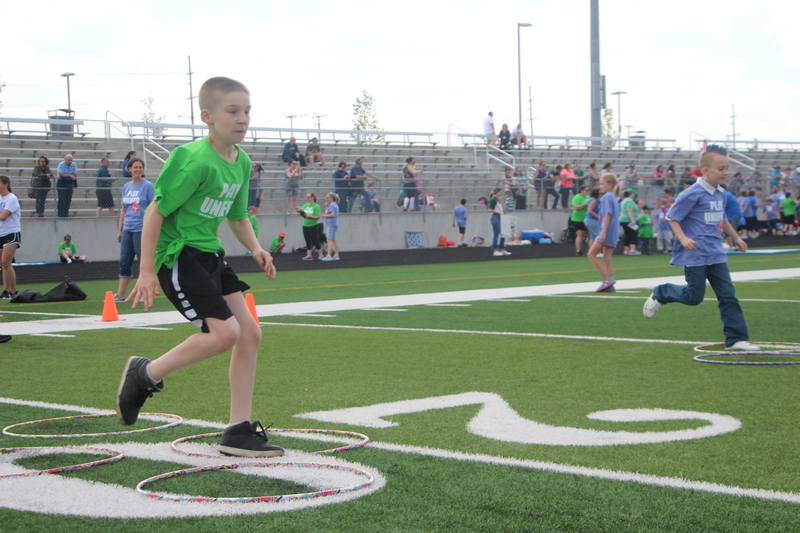 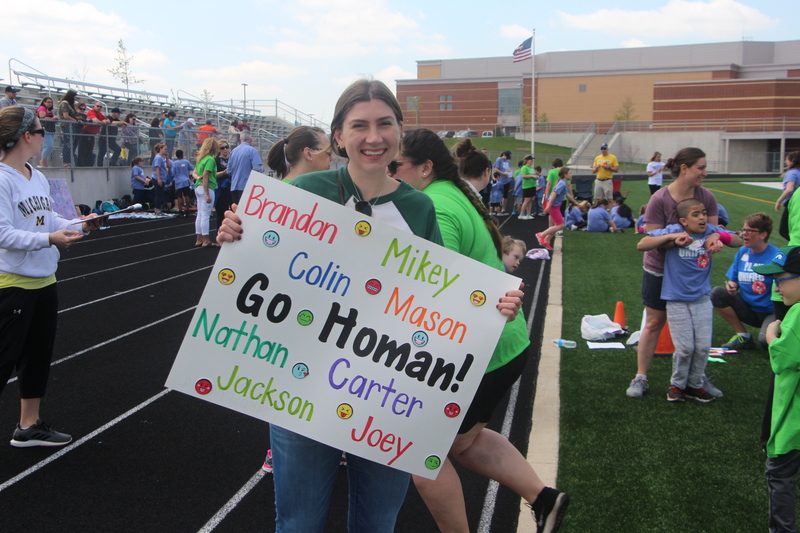 Homan Elementary participates in the annual Walk-A-Thon.